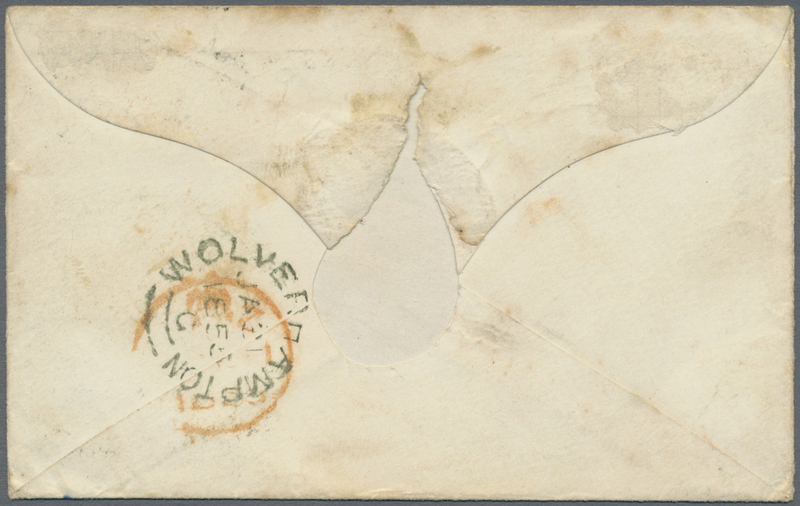 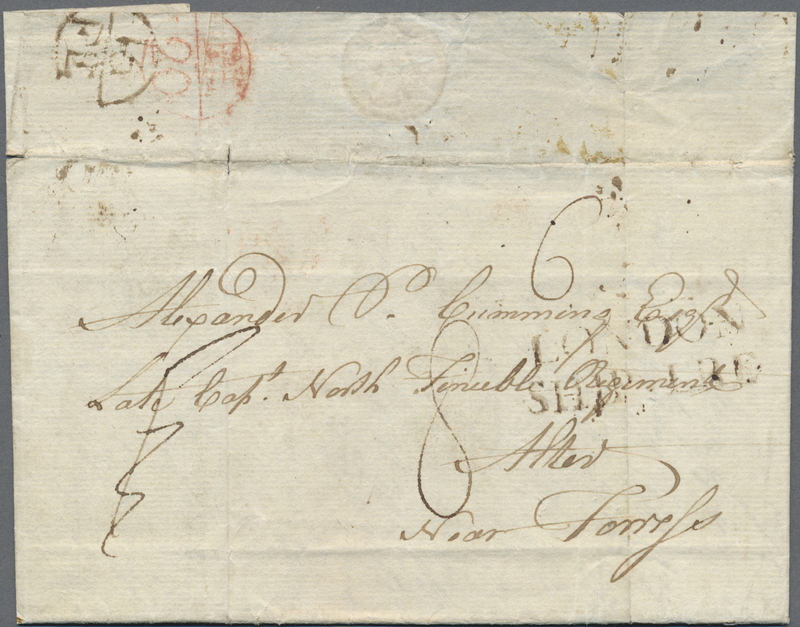 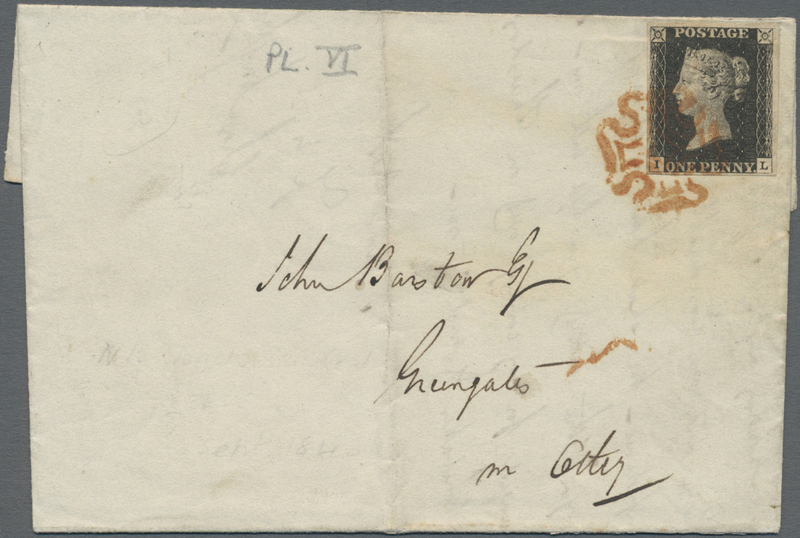 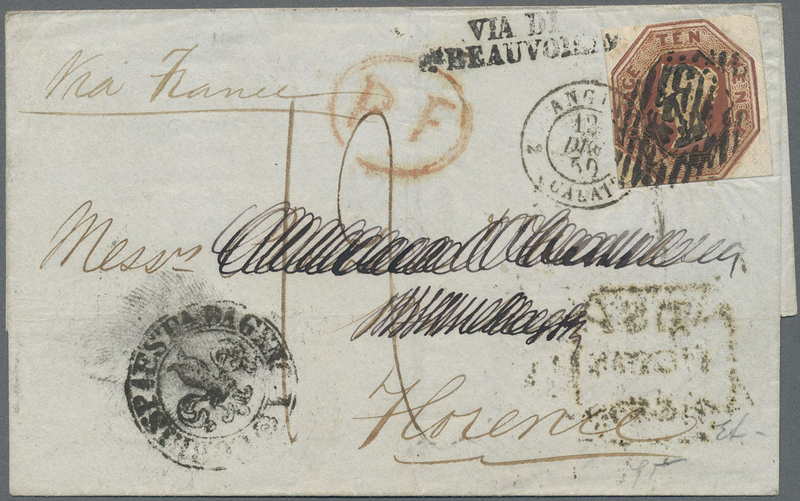 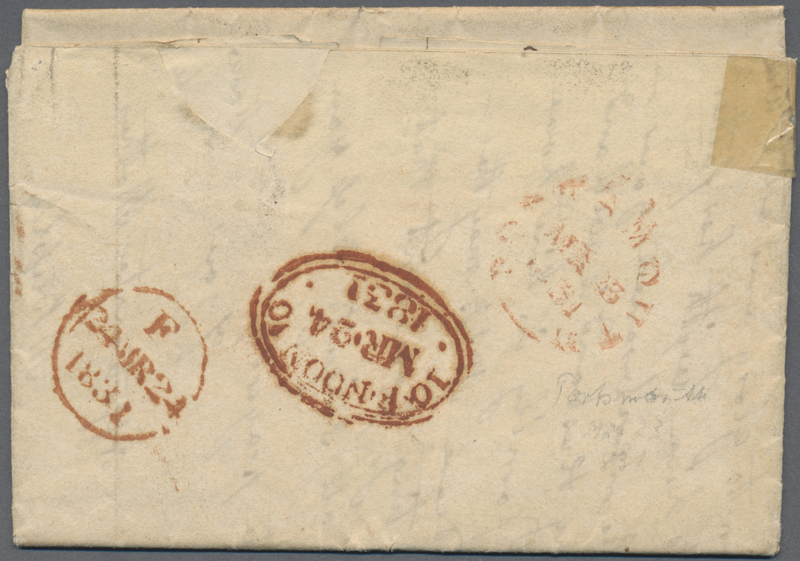 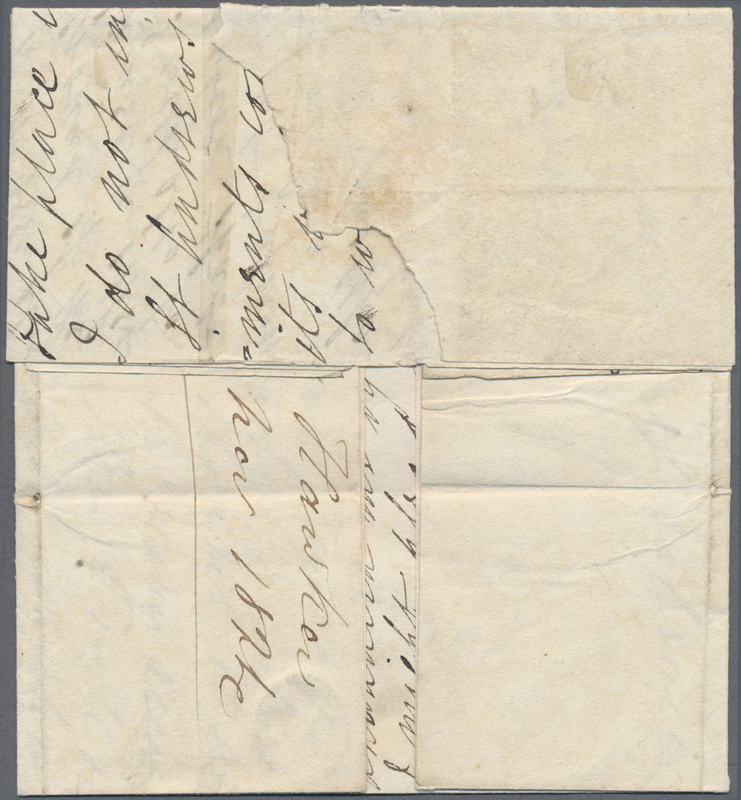 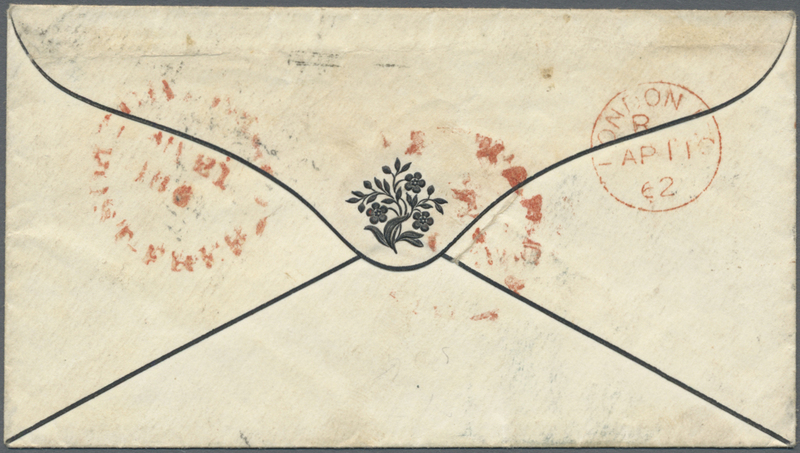 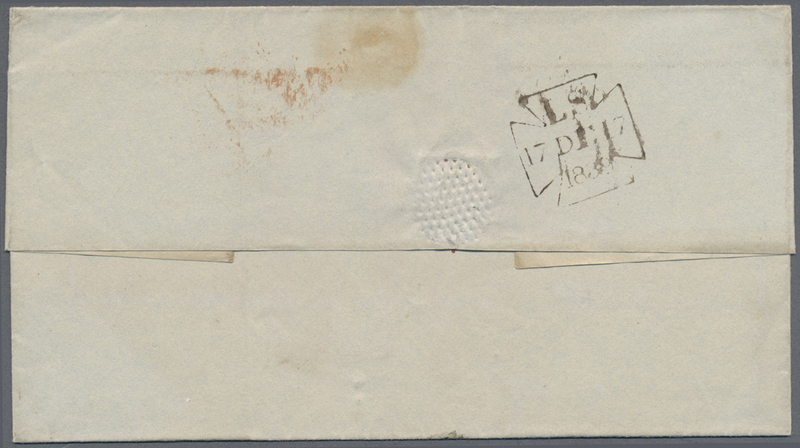 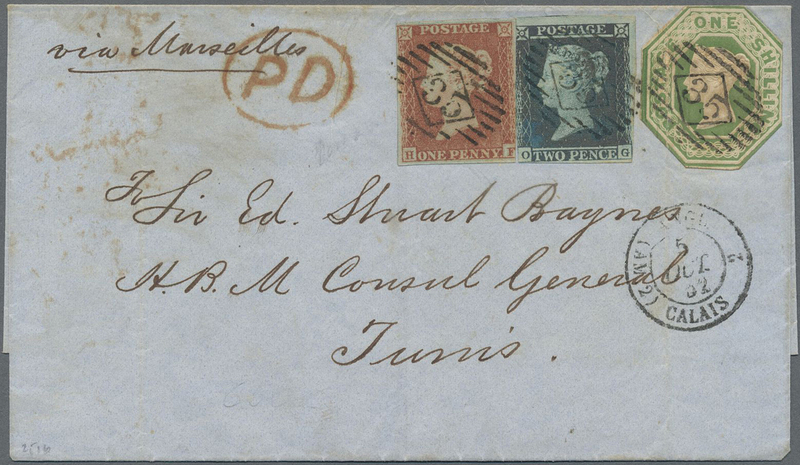 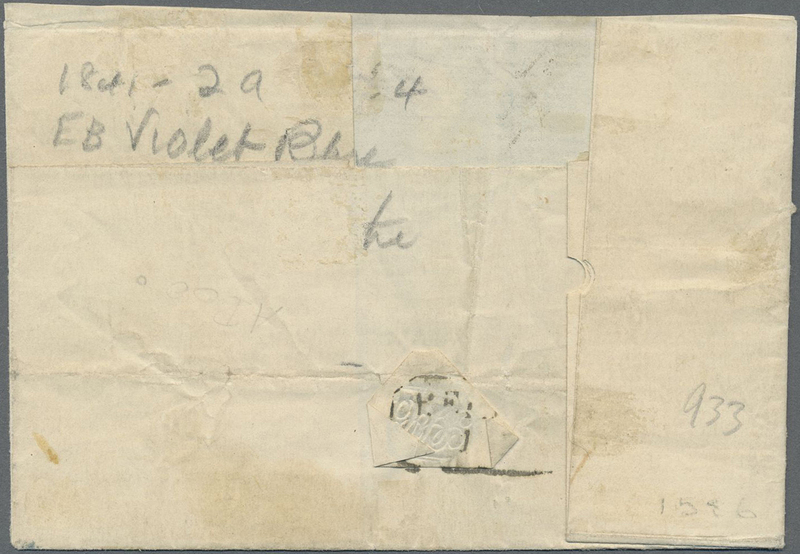 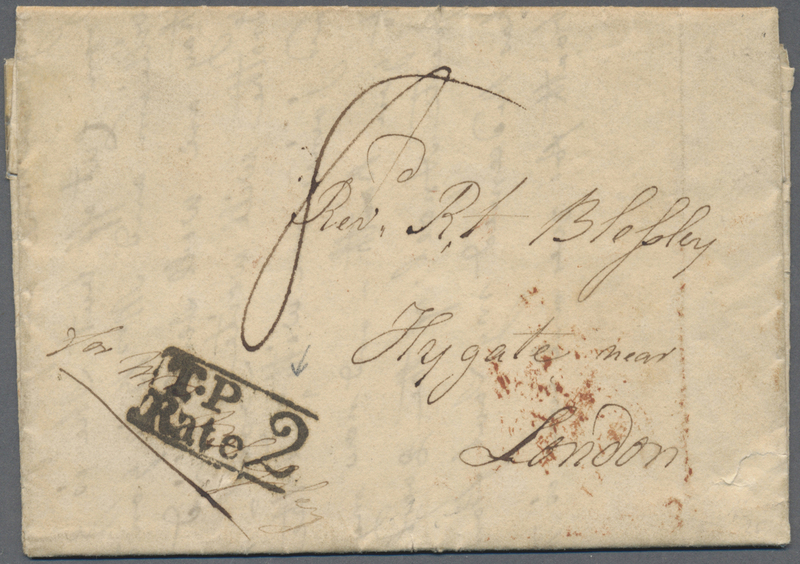 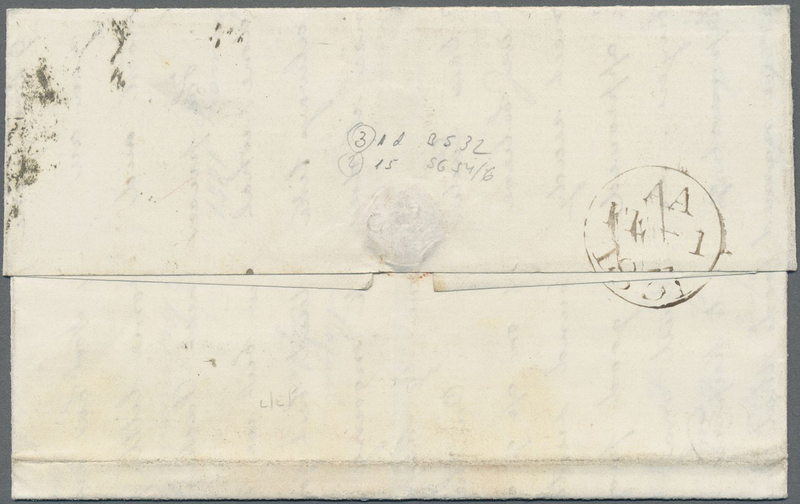 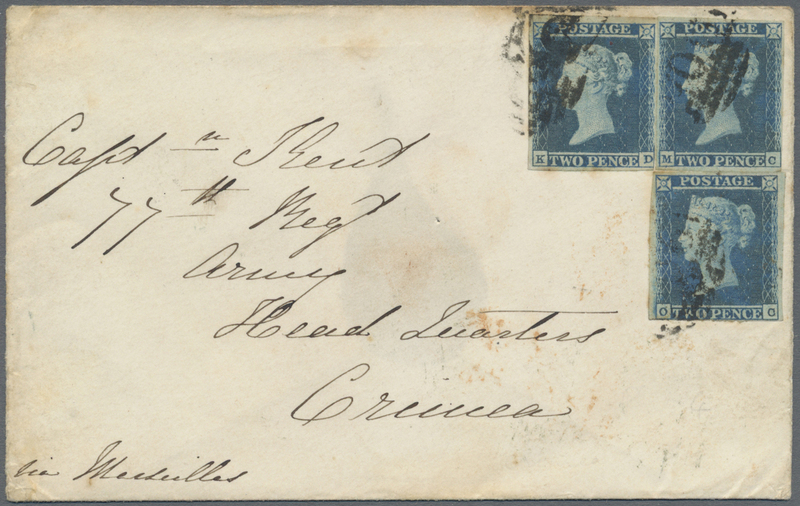 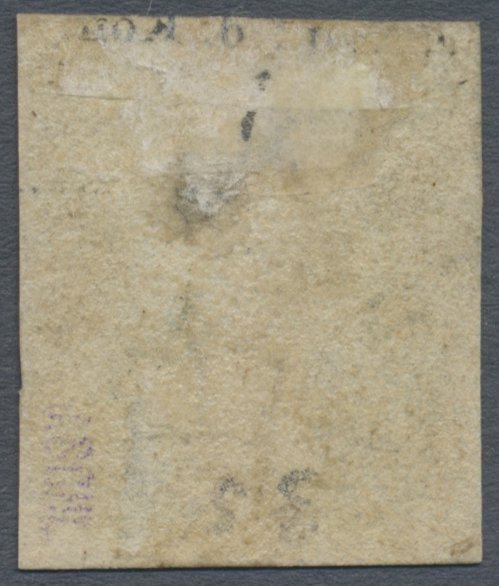 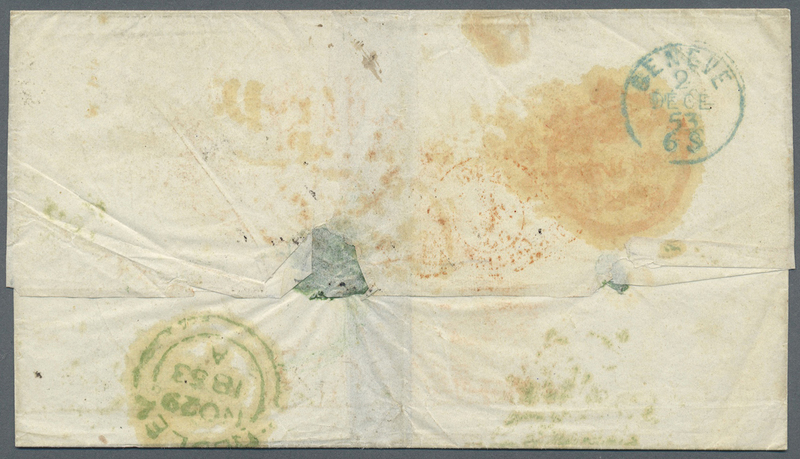 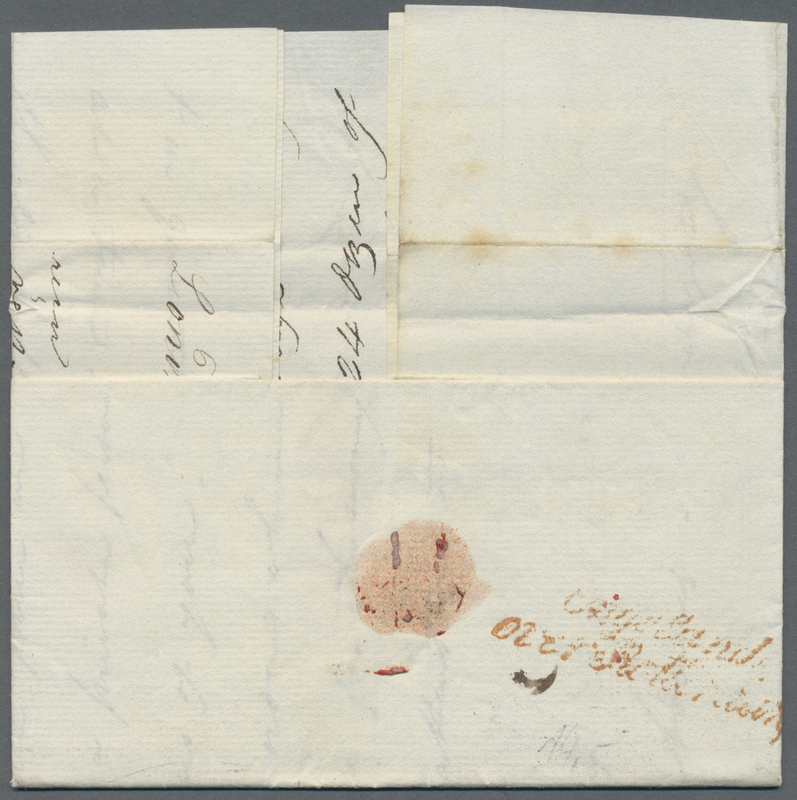 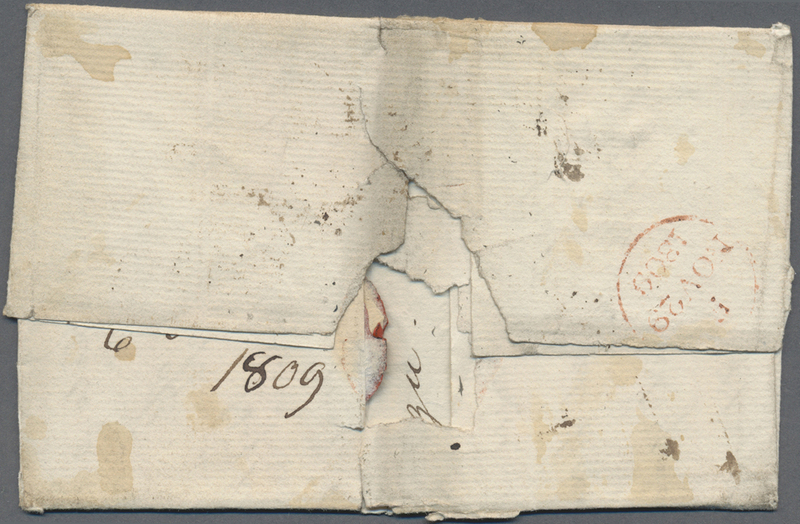 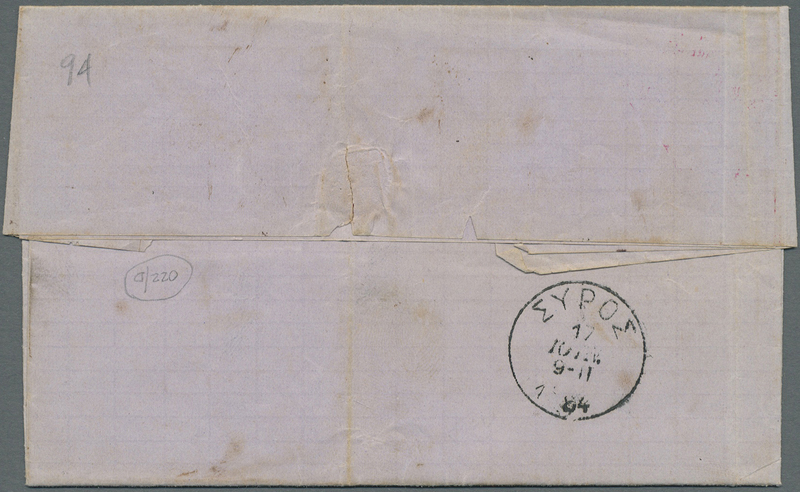 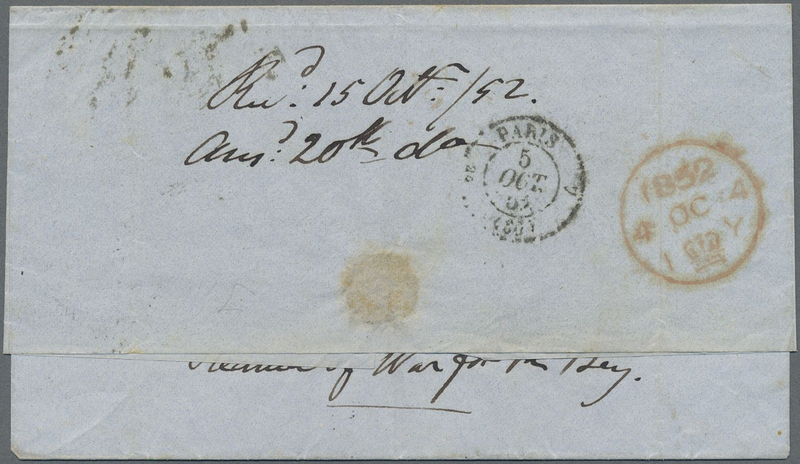 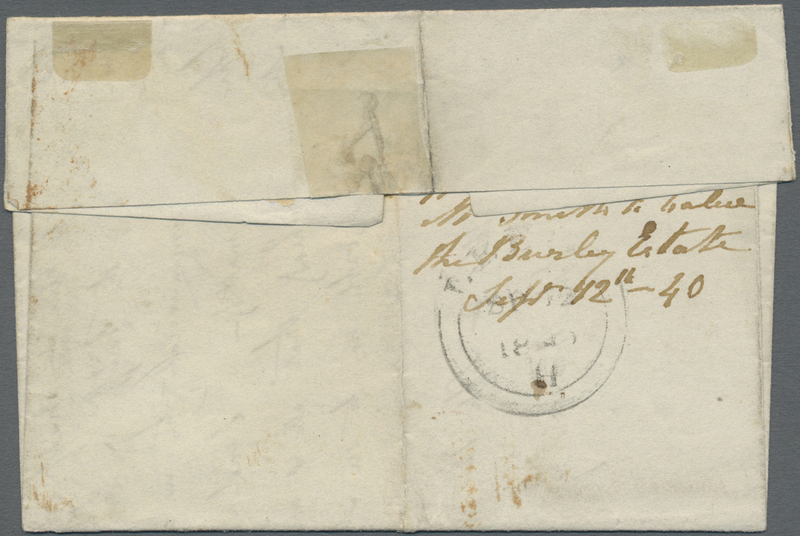 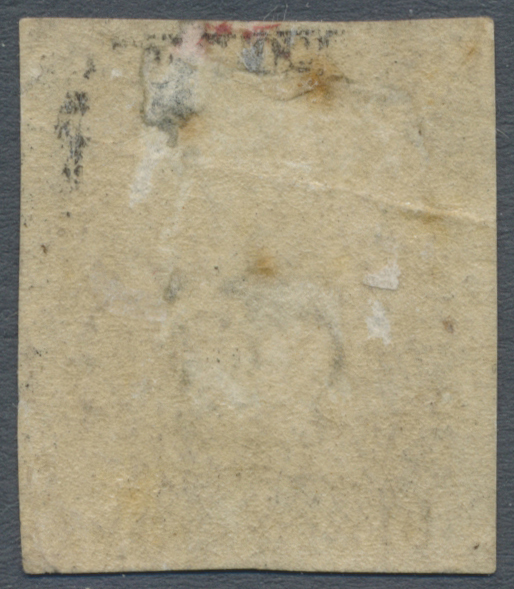 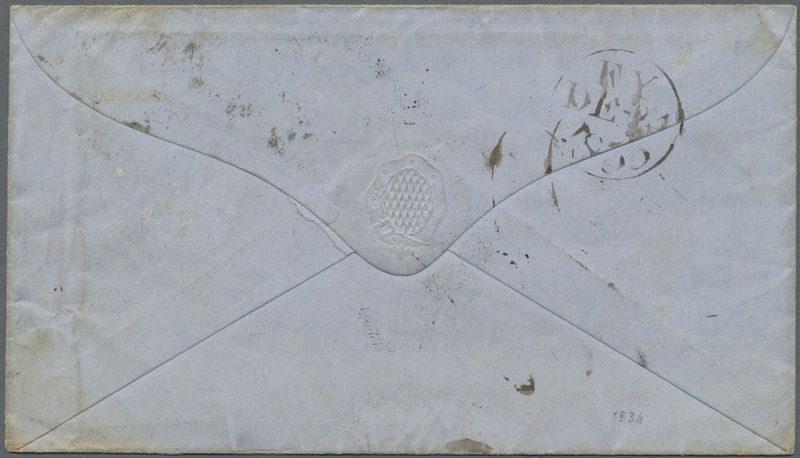 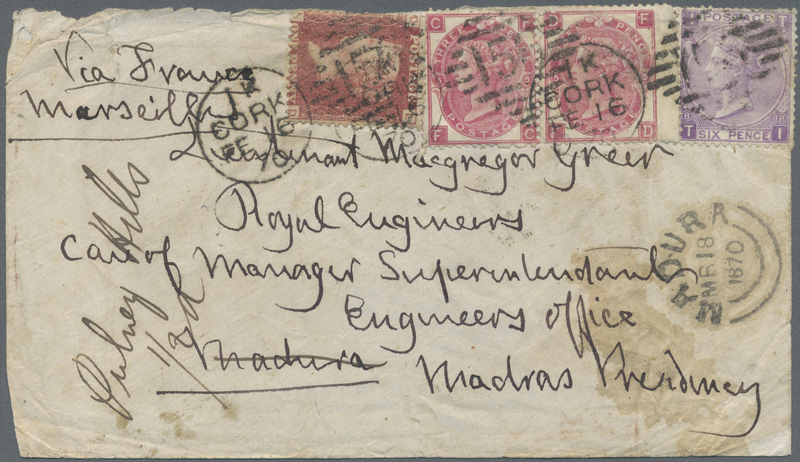 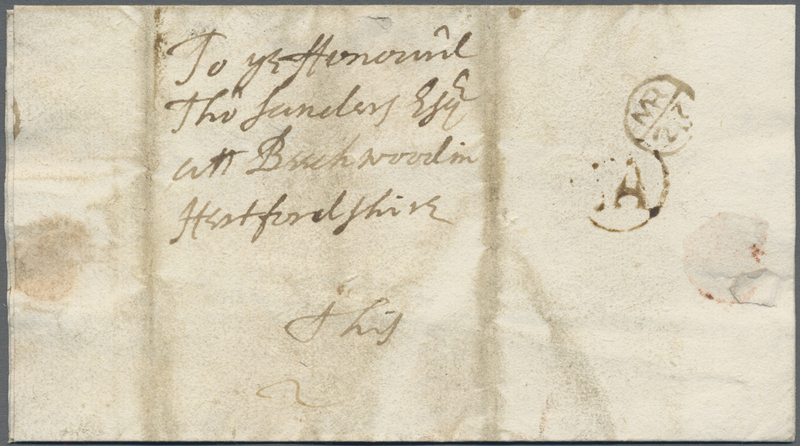 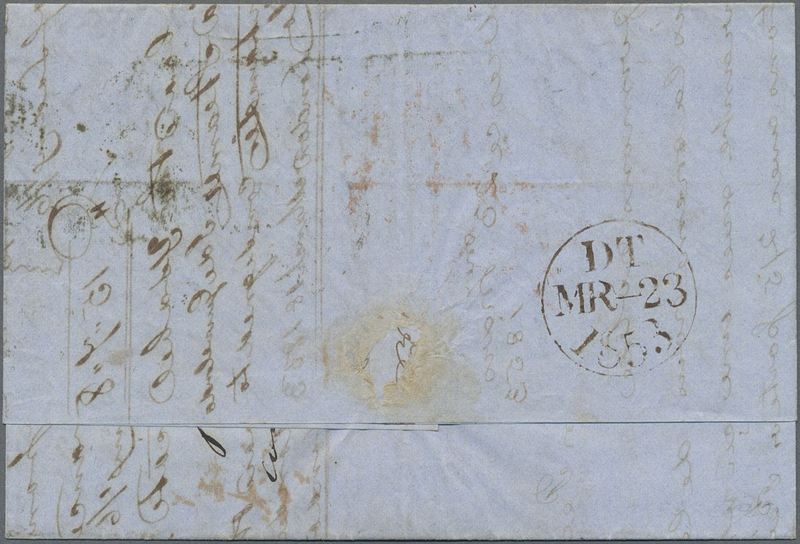 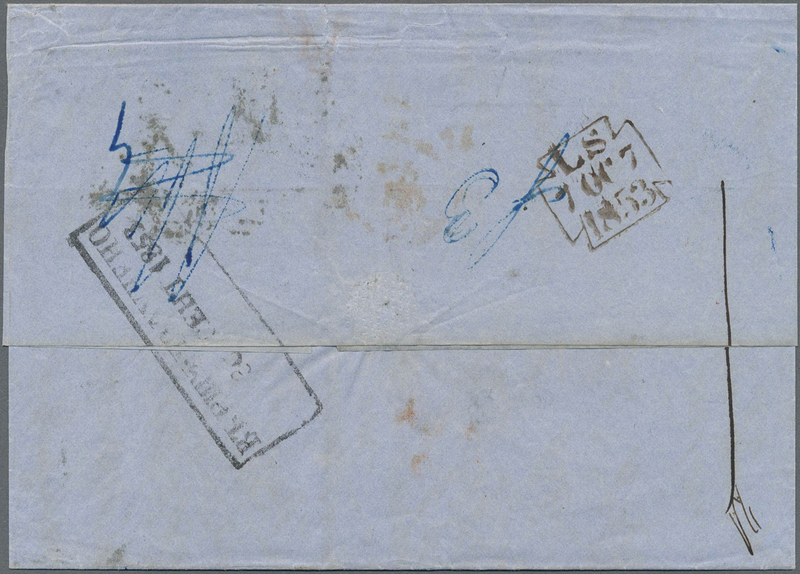 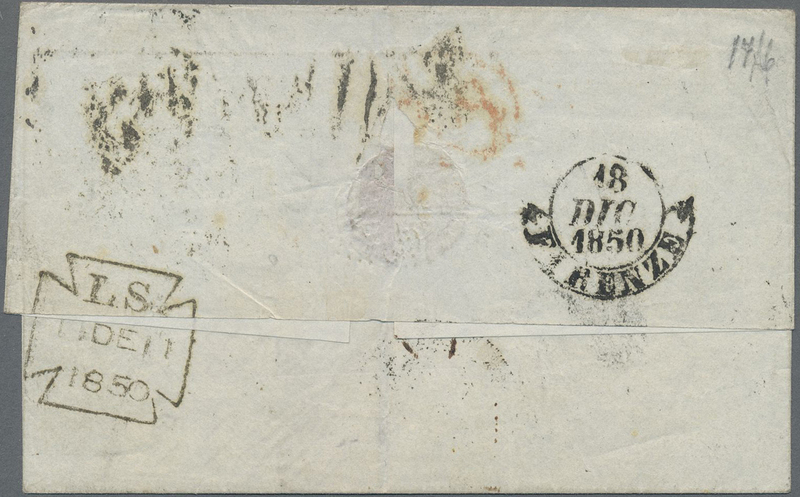 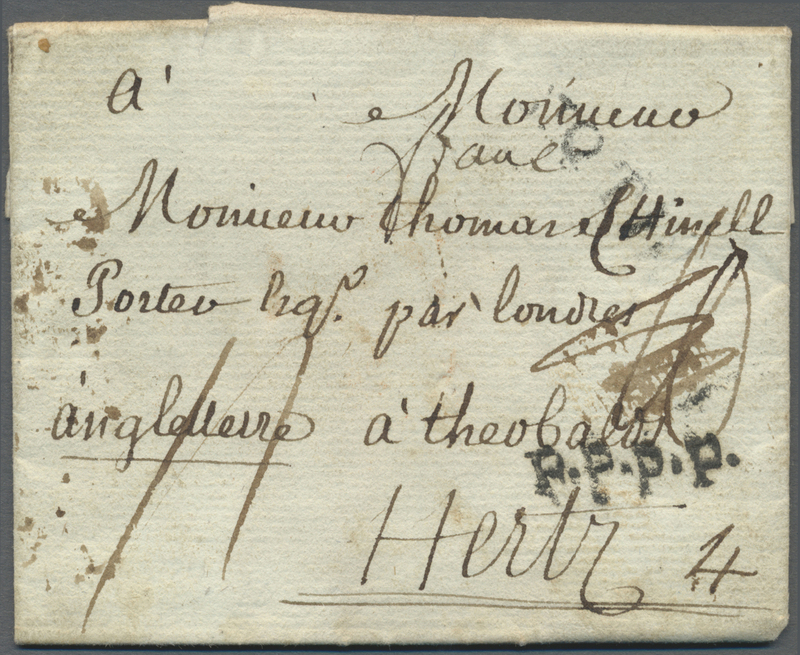 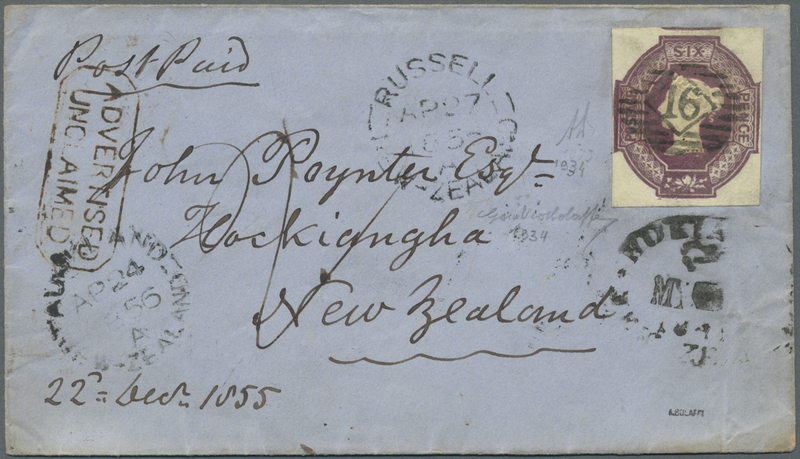 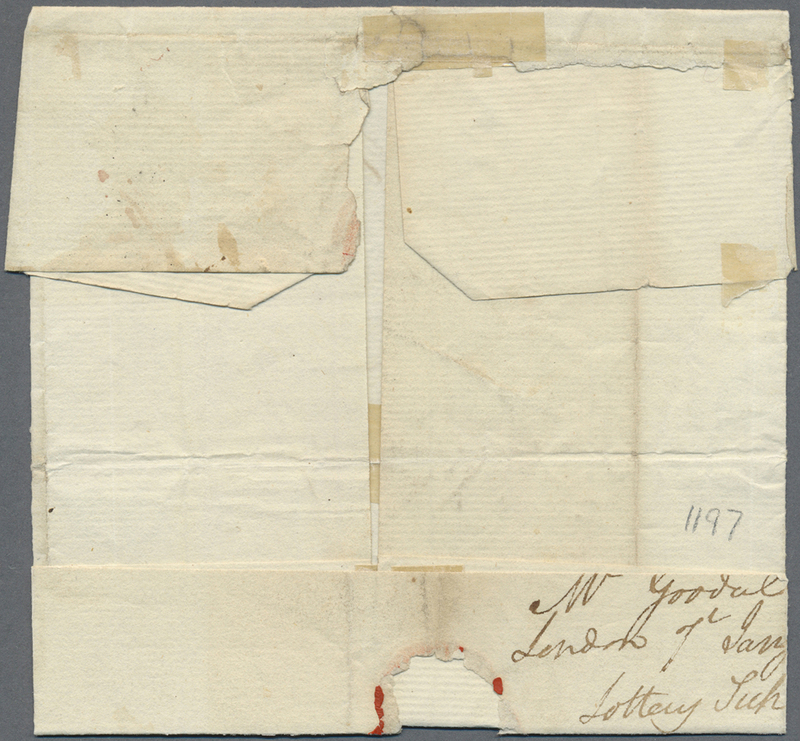 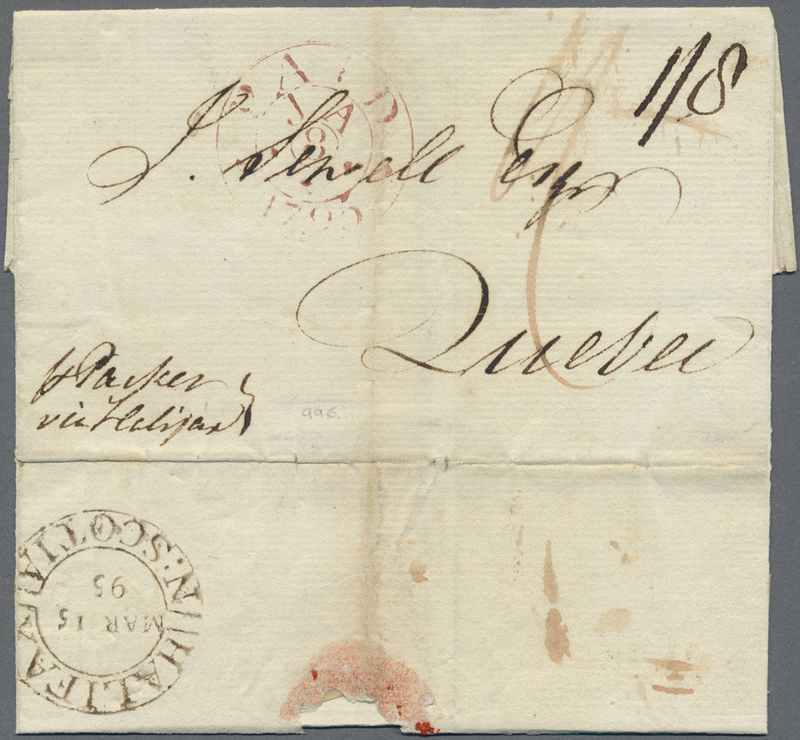 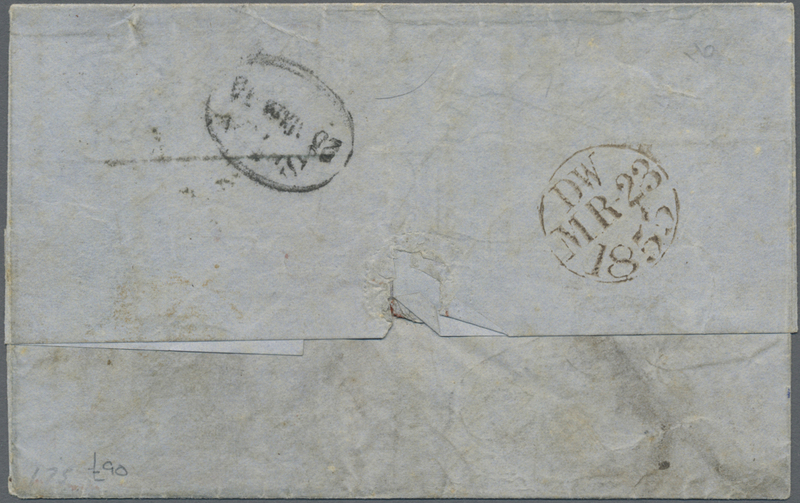 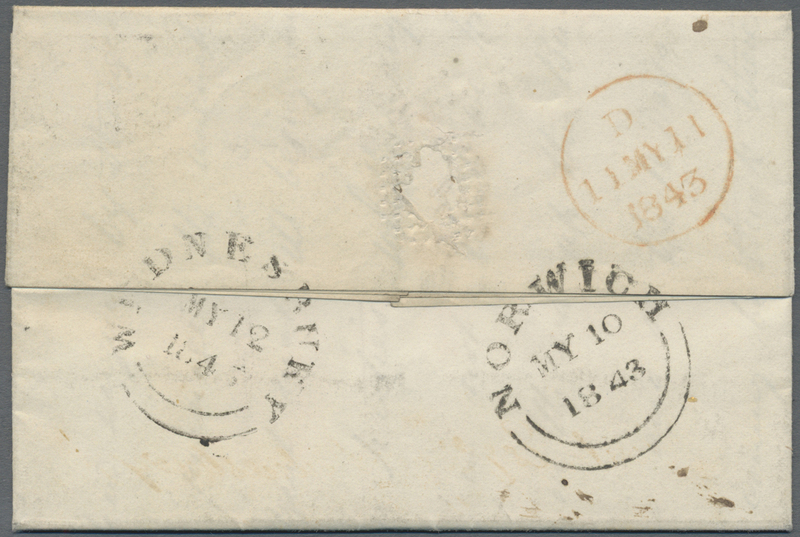 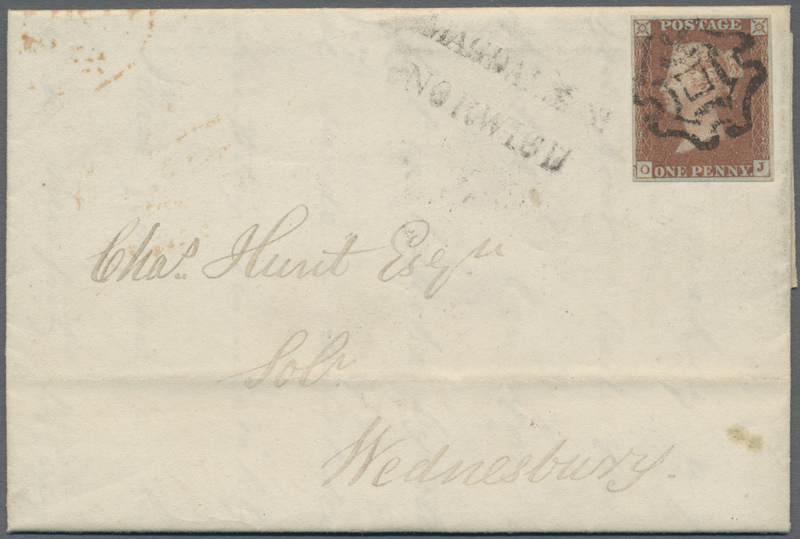 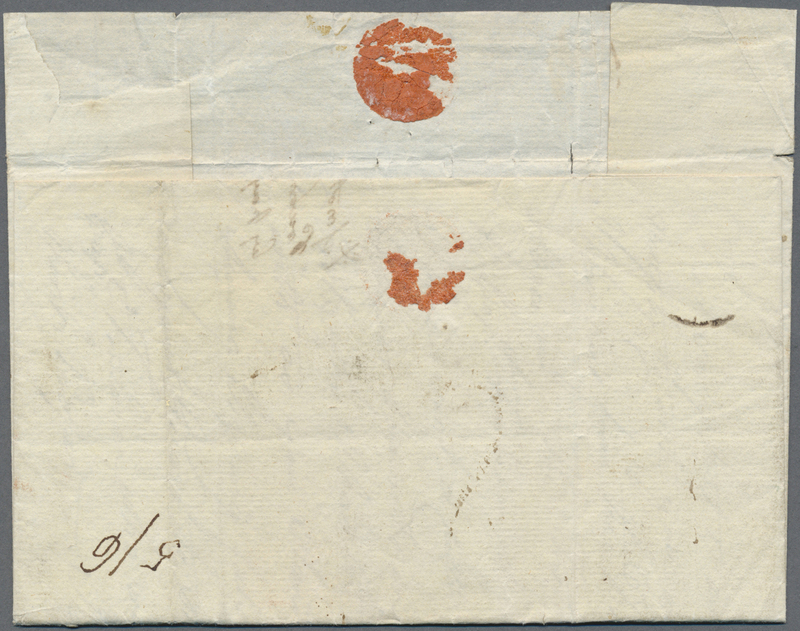 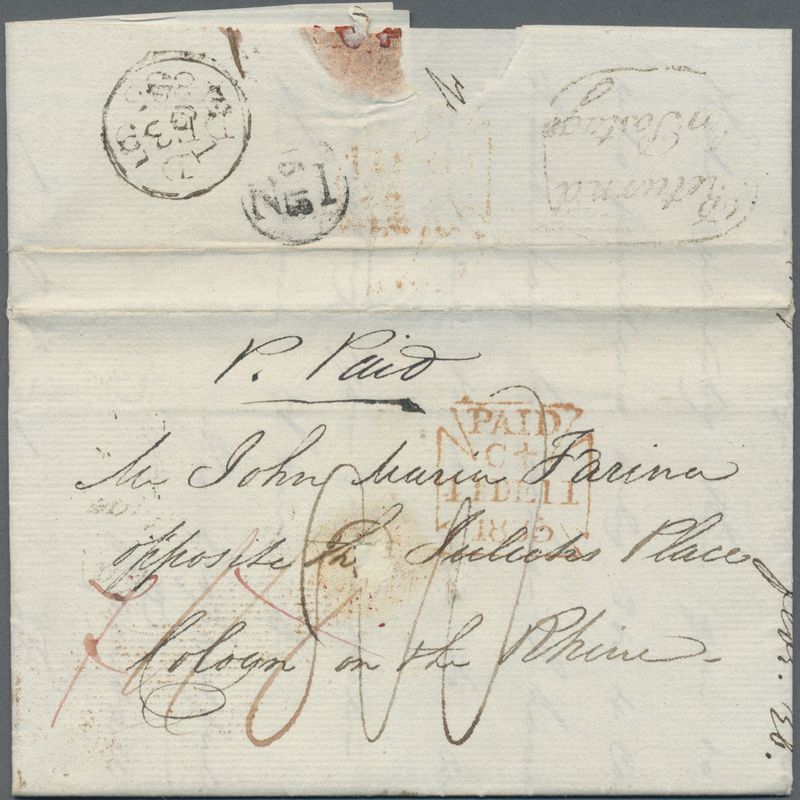 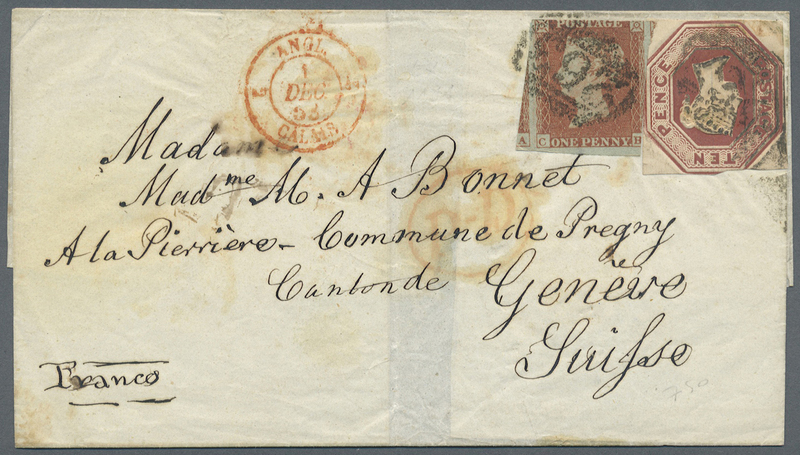 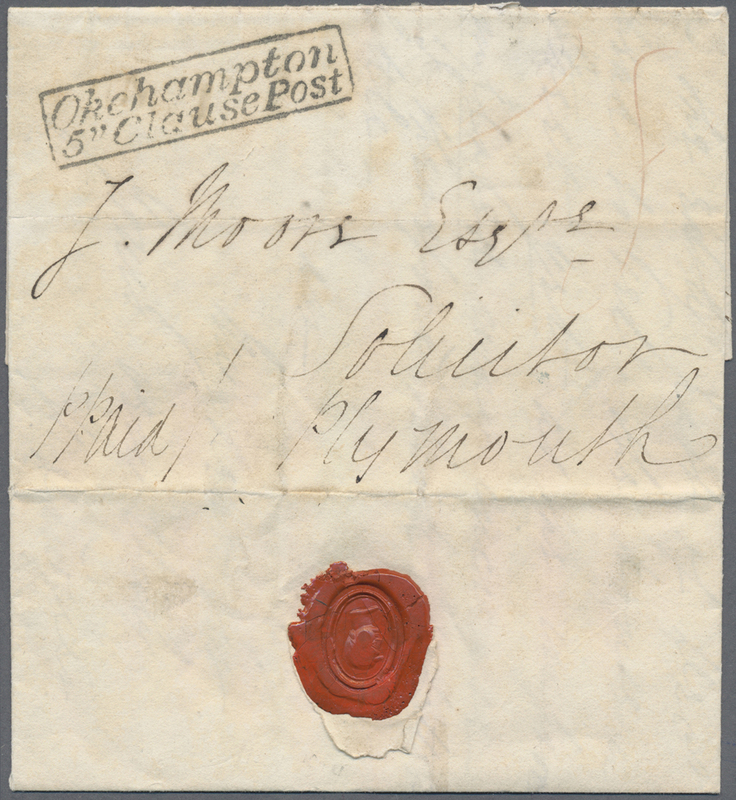 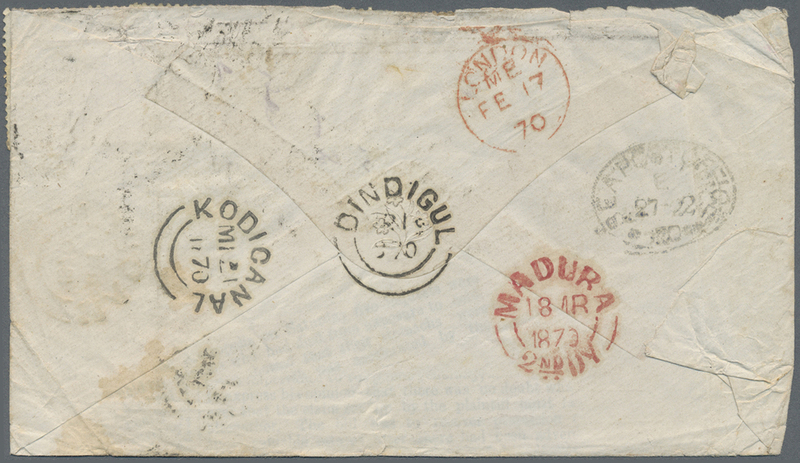 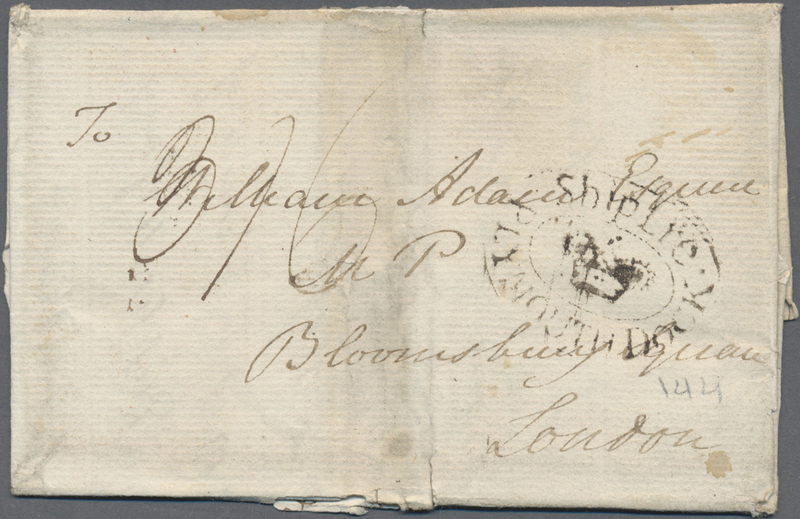 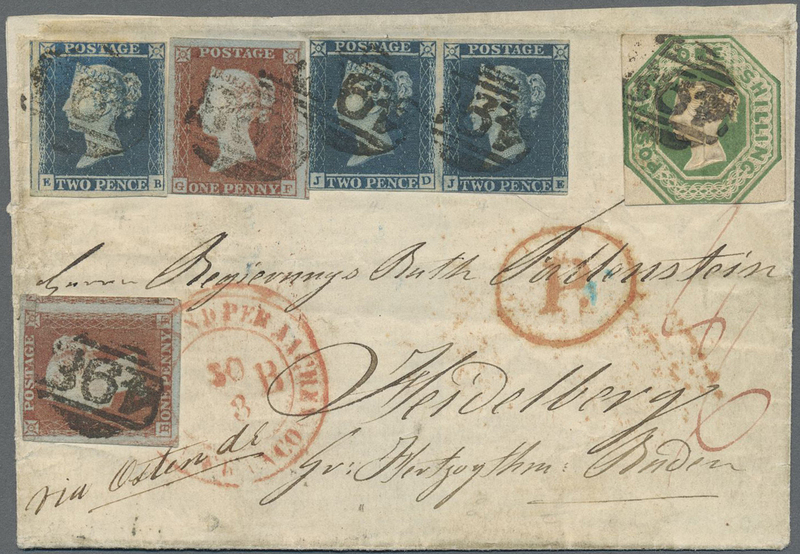 16166 Brief (cover) SG 14 (3) 1855 CRIMEAN WAR: Cover from Wolverhampton to Crimea 'via Marseilles', addressed to Captain Kent, 77th (East Middlesex) Regt., Army Head Quarter, Crimea, franked by three singles of 2d. 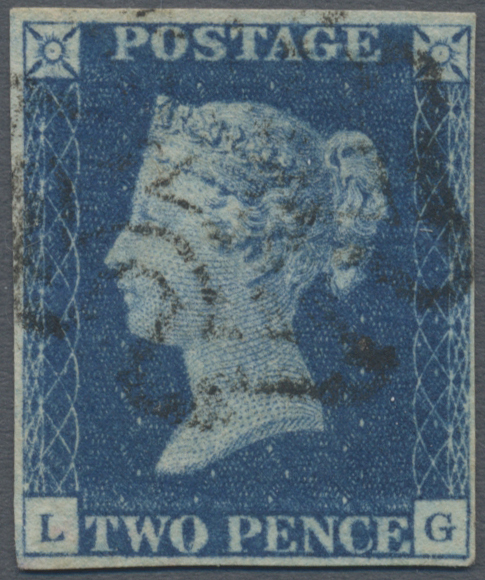 blue on bluish paper for 6d. 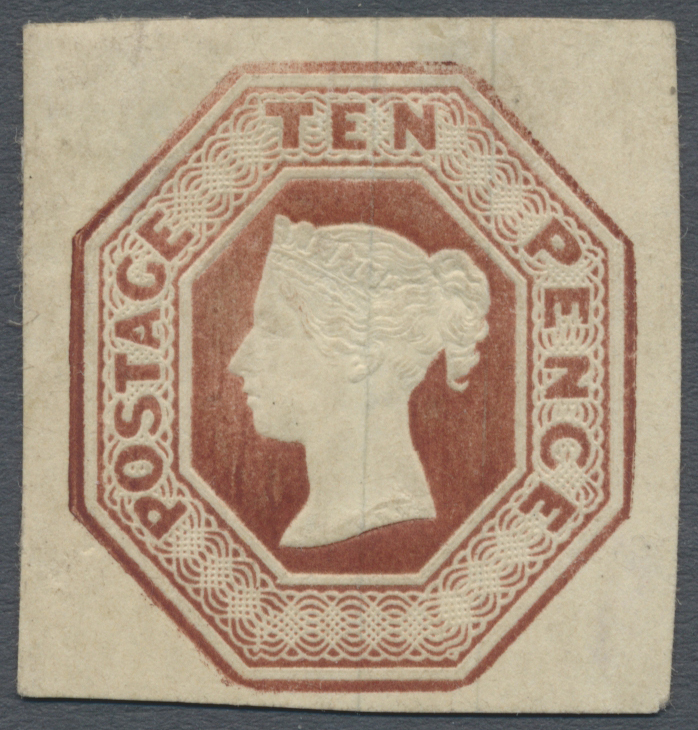 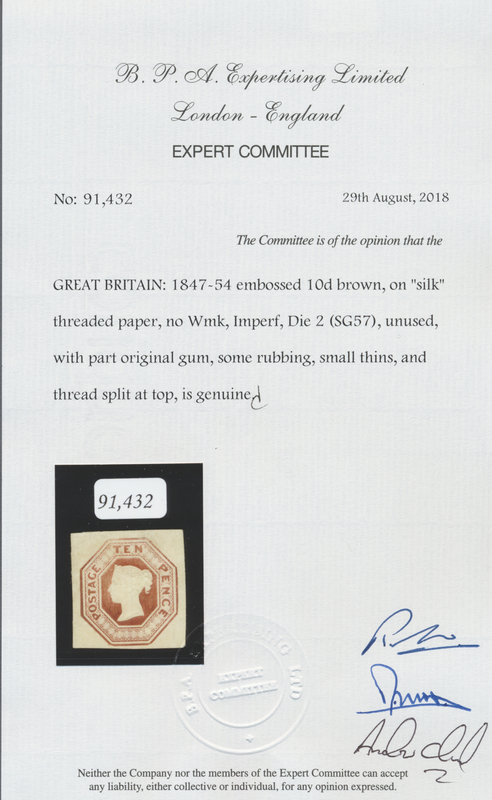 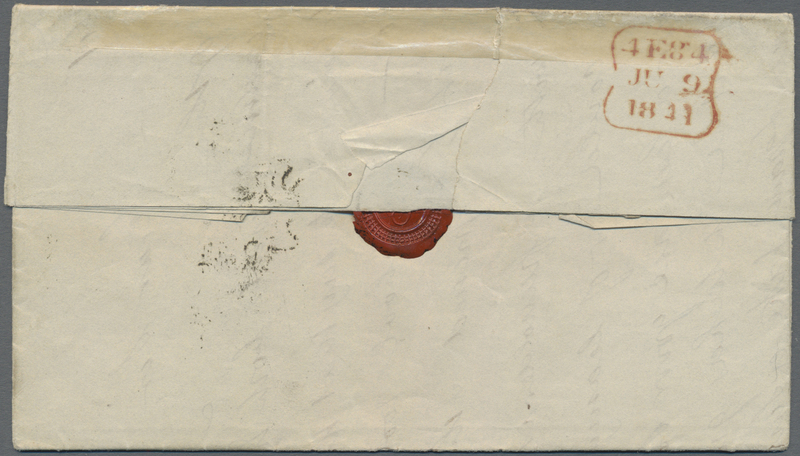 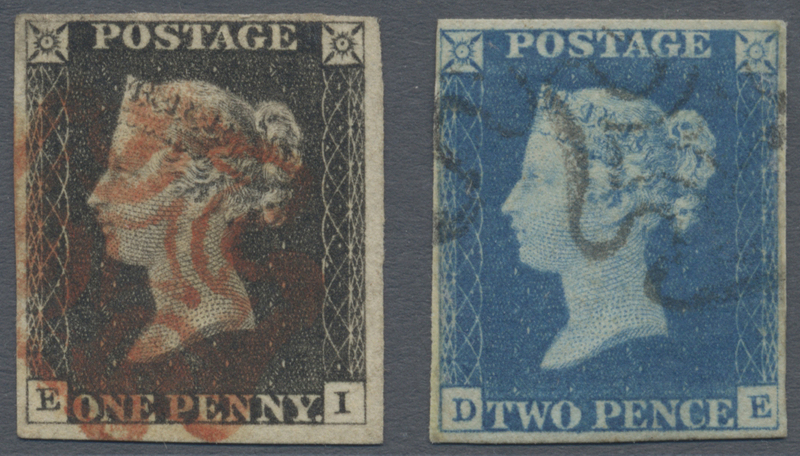 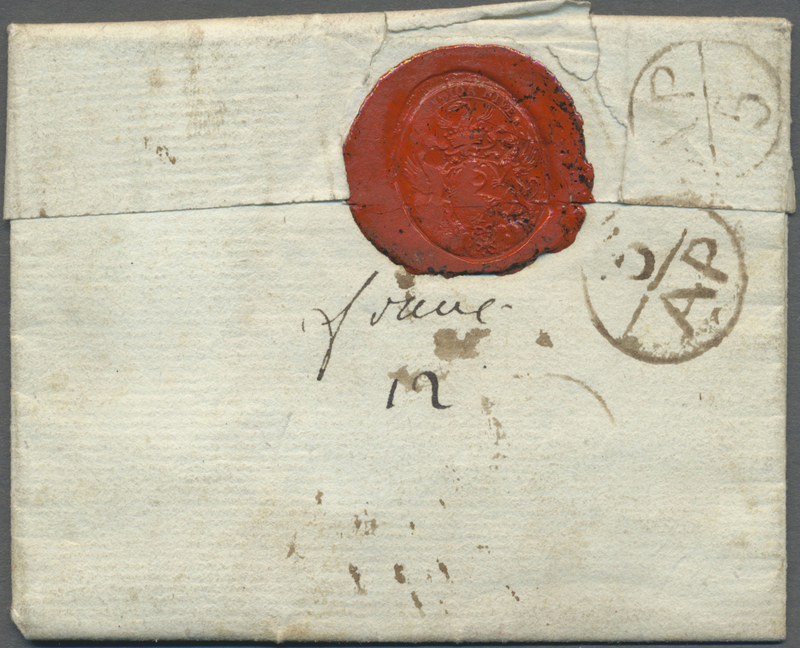 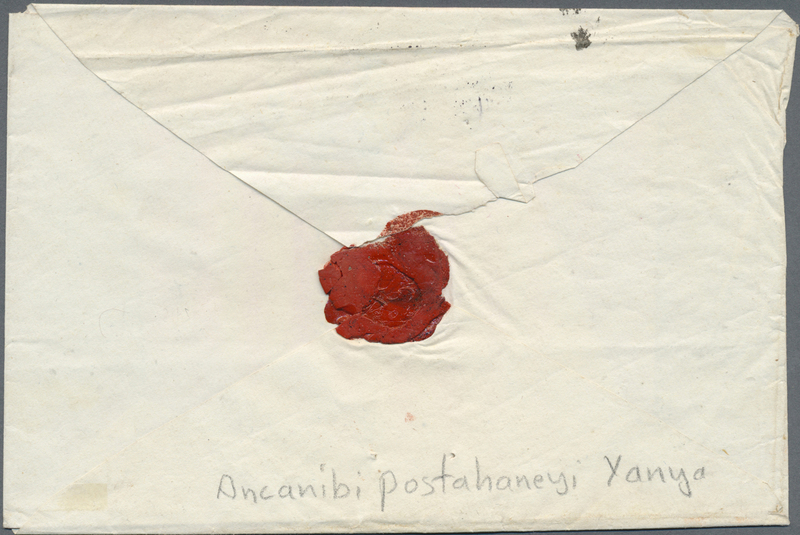 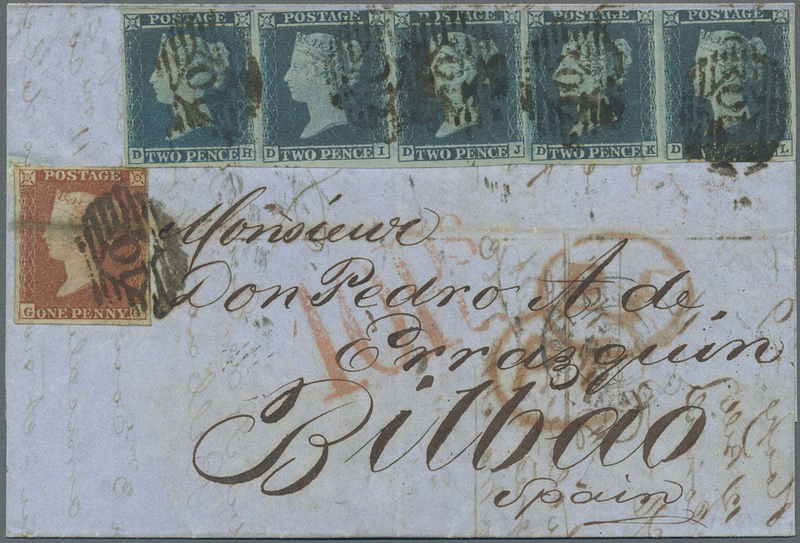 Officer's double rate, all tied by numeral "905", and on the reverse with "WOLVERHAMPTON/JA 31/1855" despatch cds in blue and London transit cds in red. 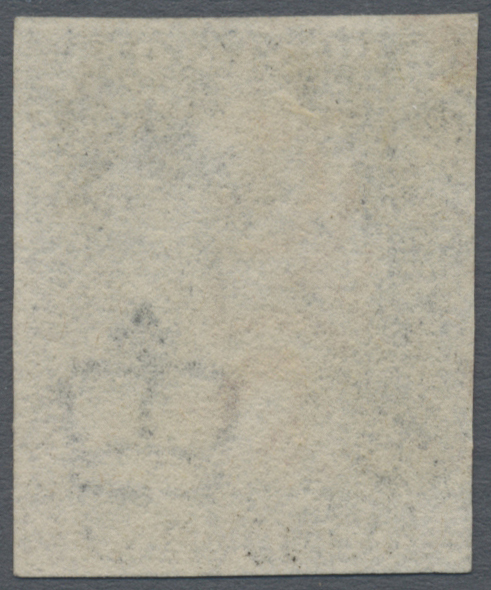 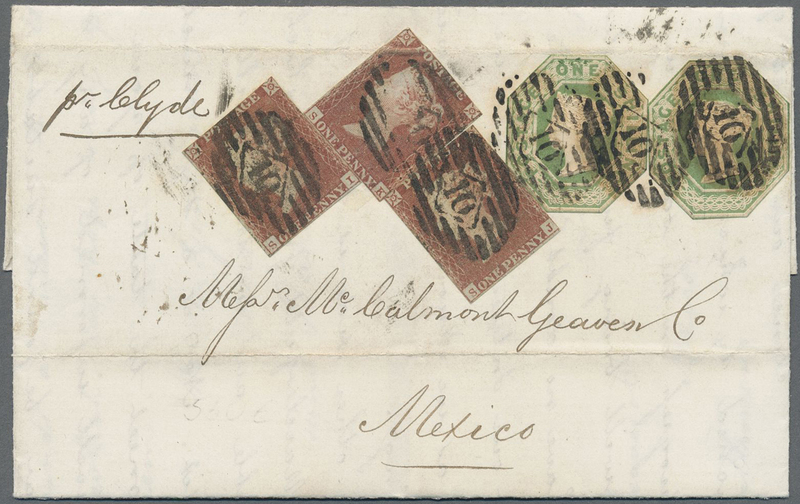 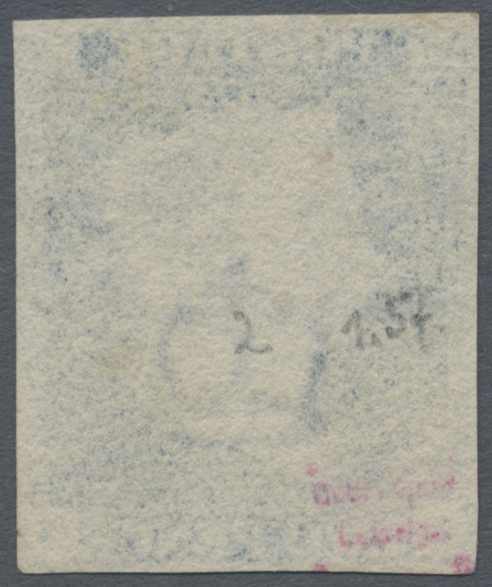 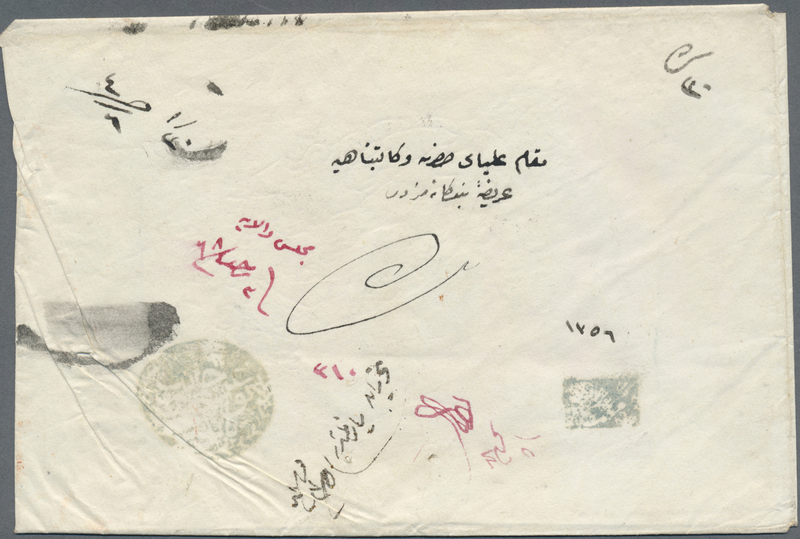 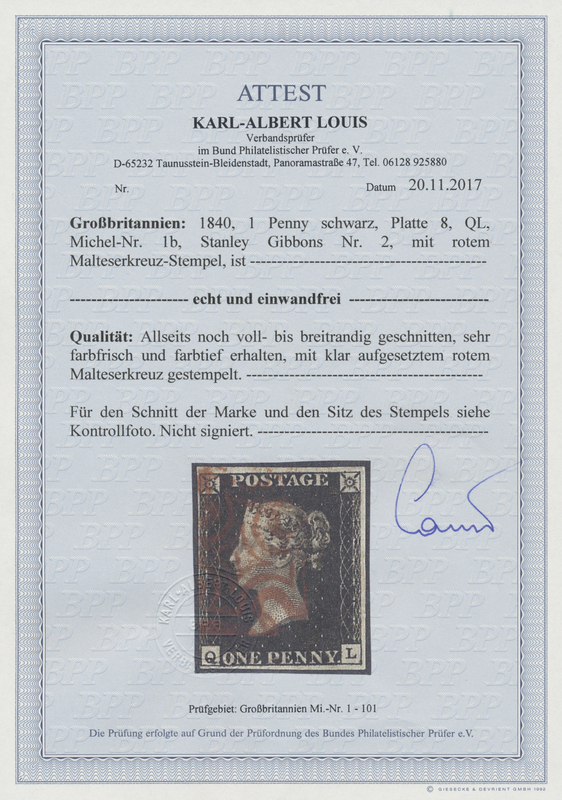 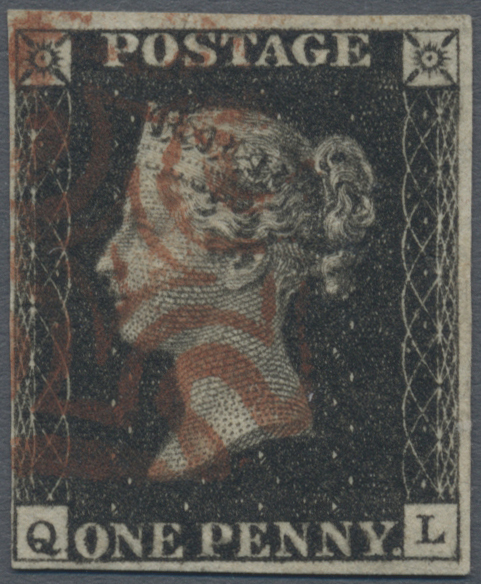 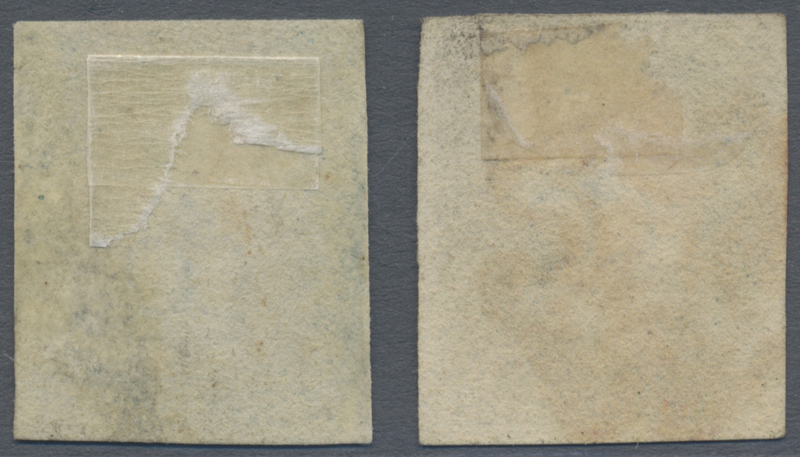 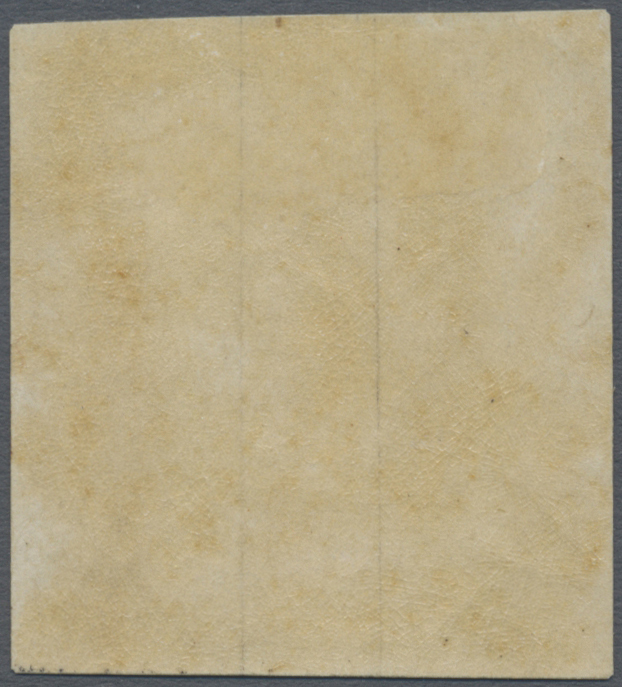 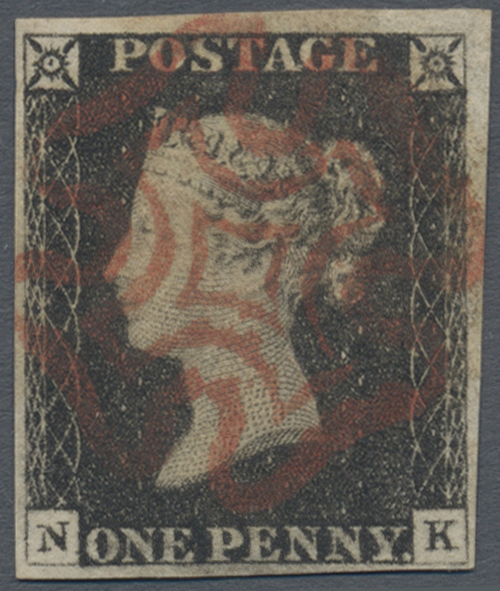 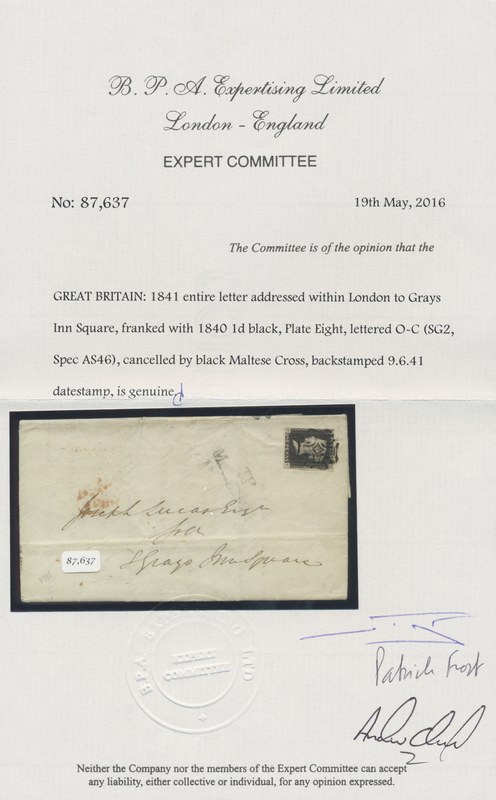 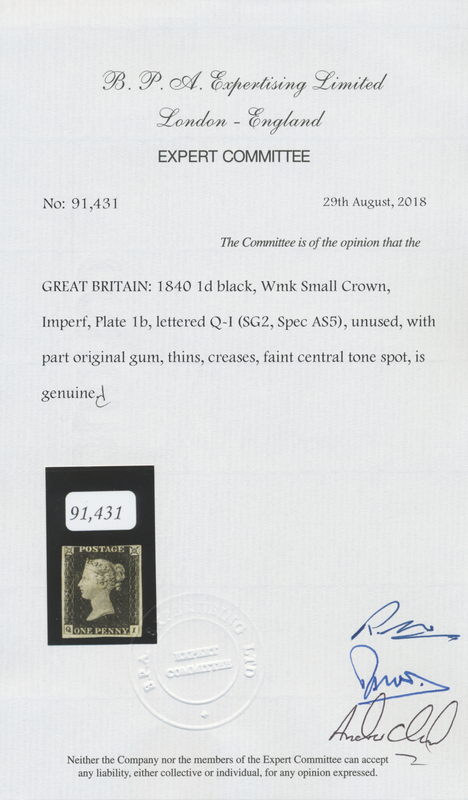 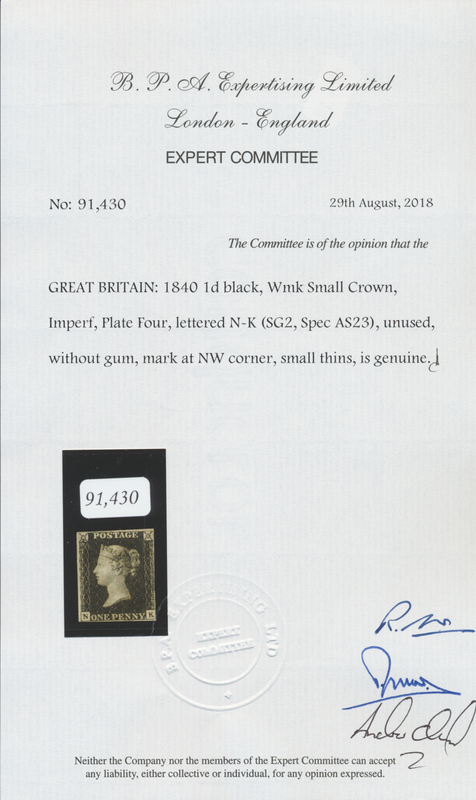 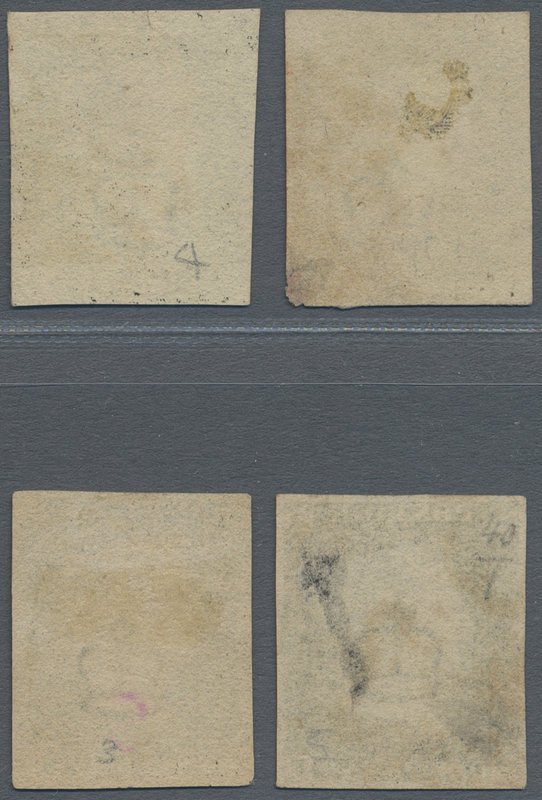 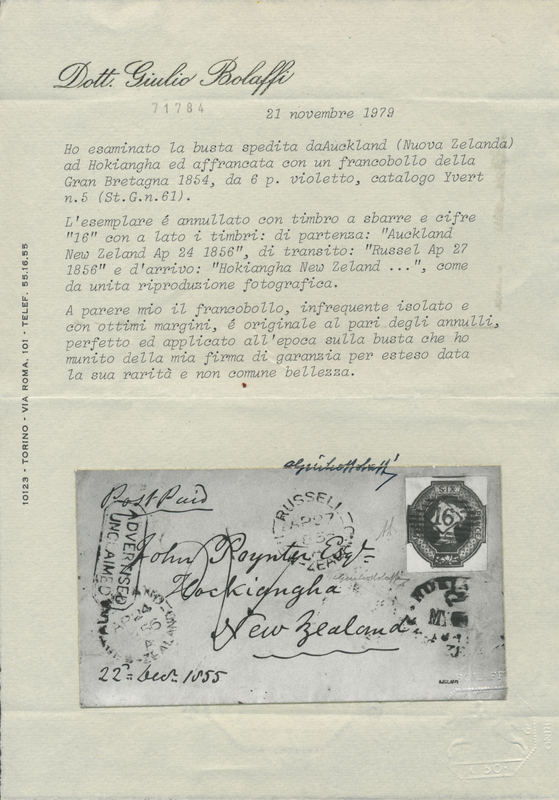 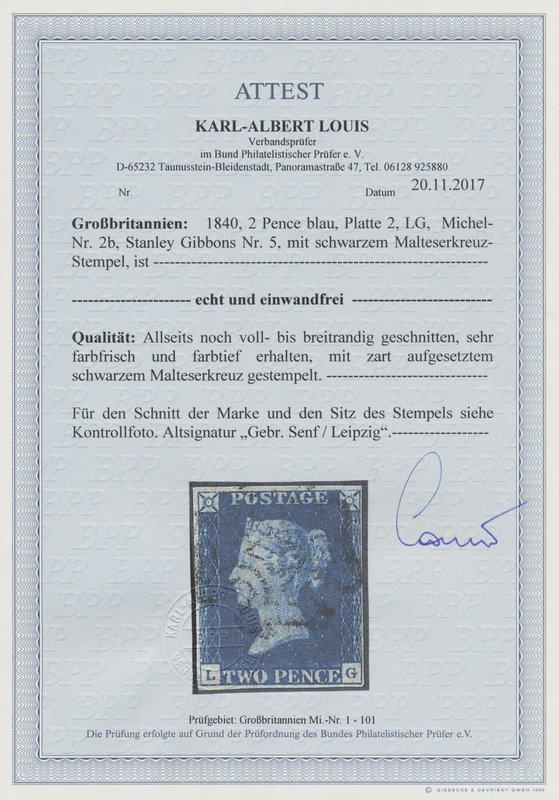 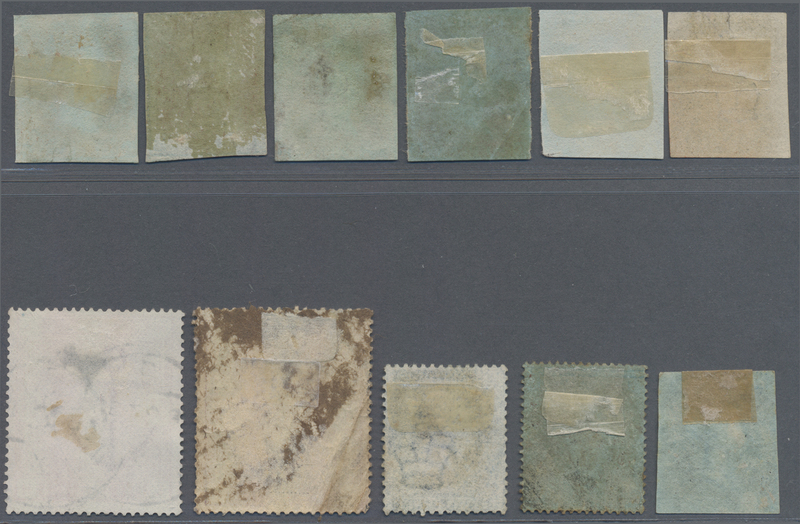 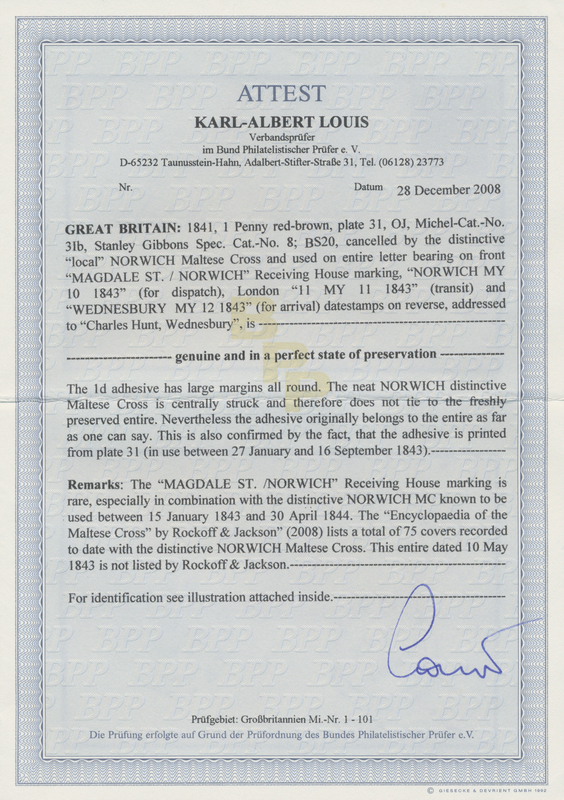 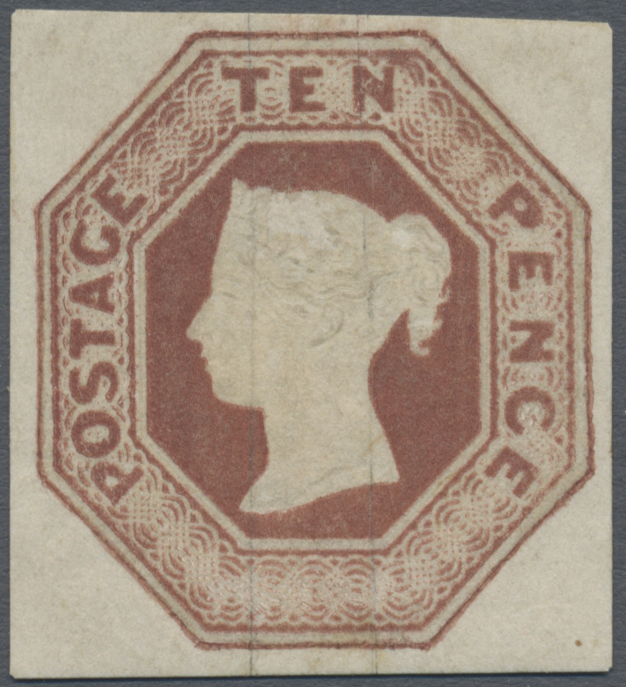 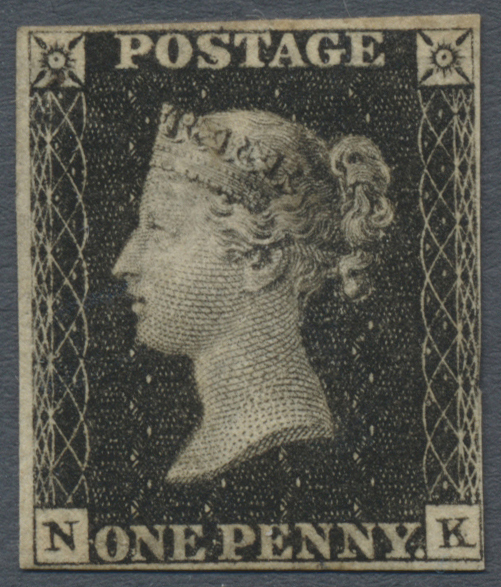 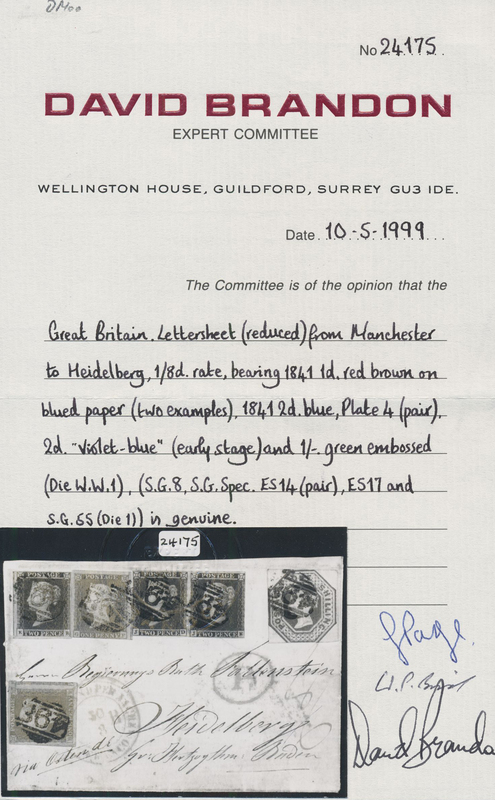 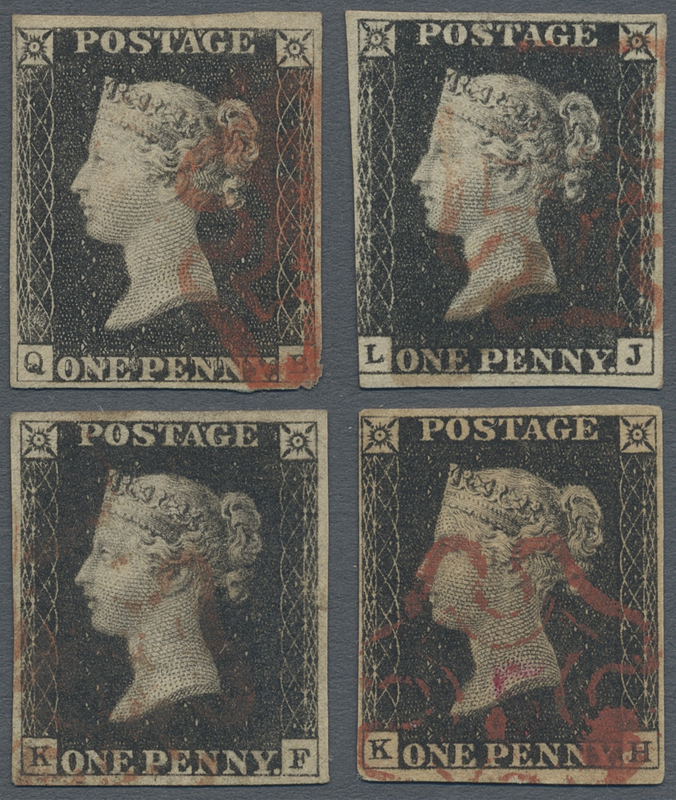 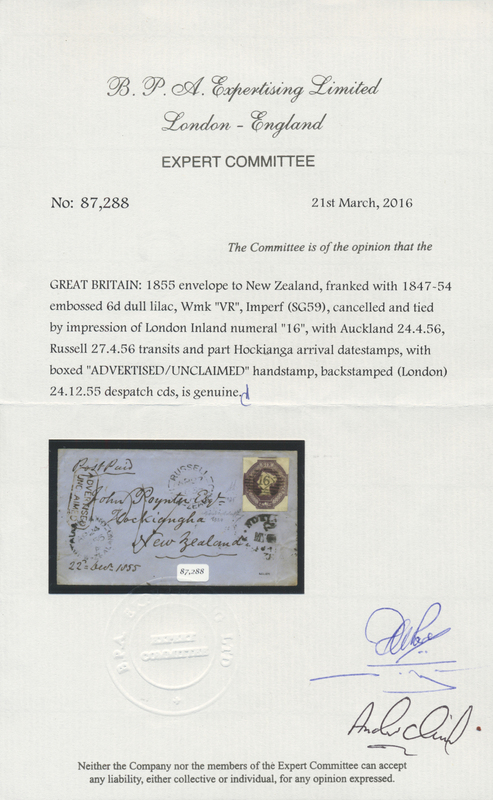 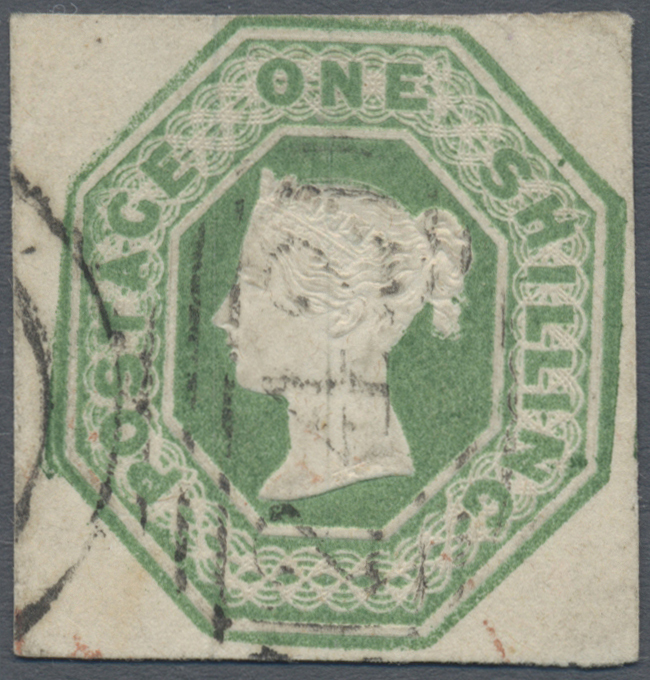 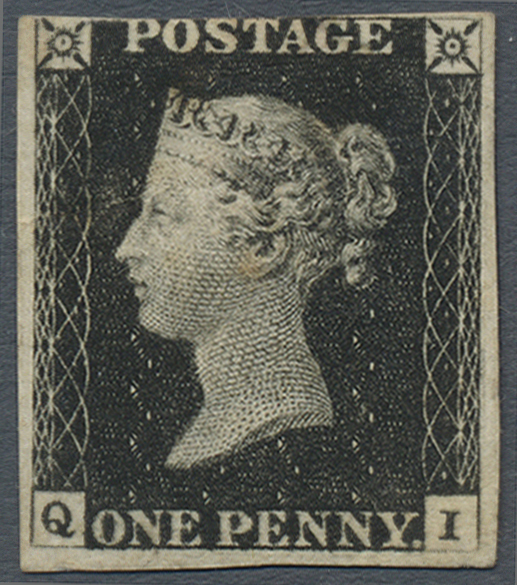 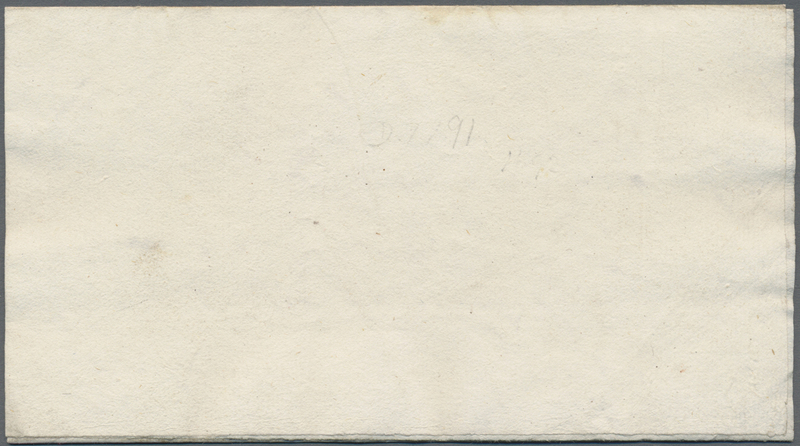 Stamps with good margins, fresh and fine, cover lightly stained as usual, back faults. 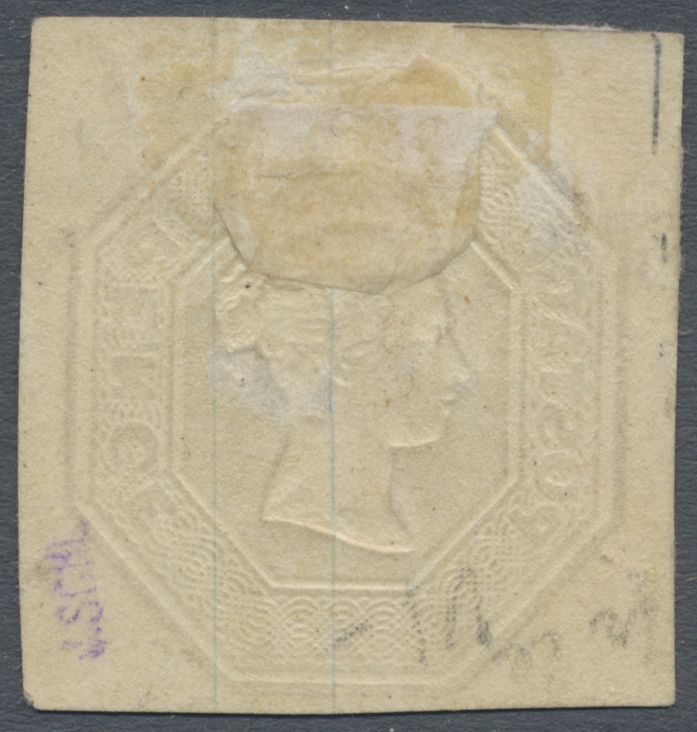 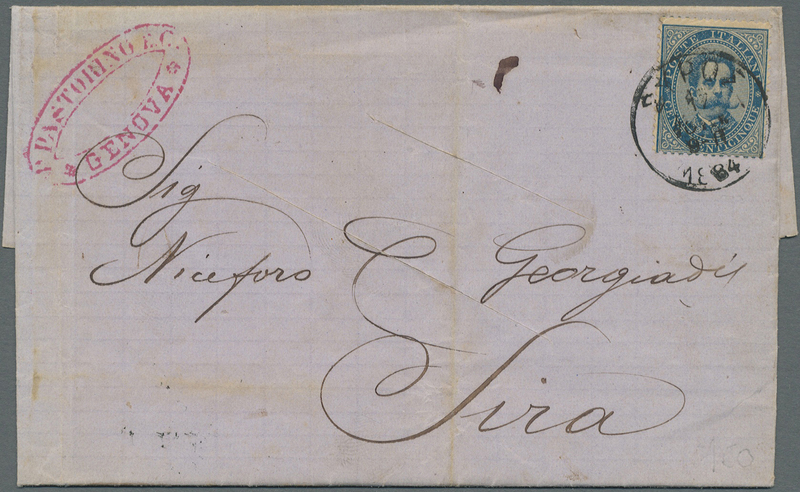 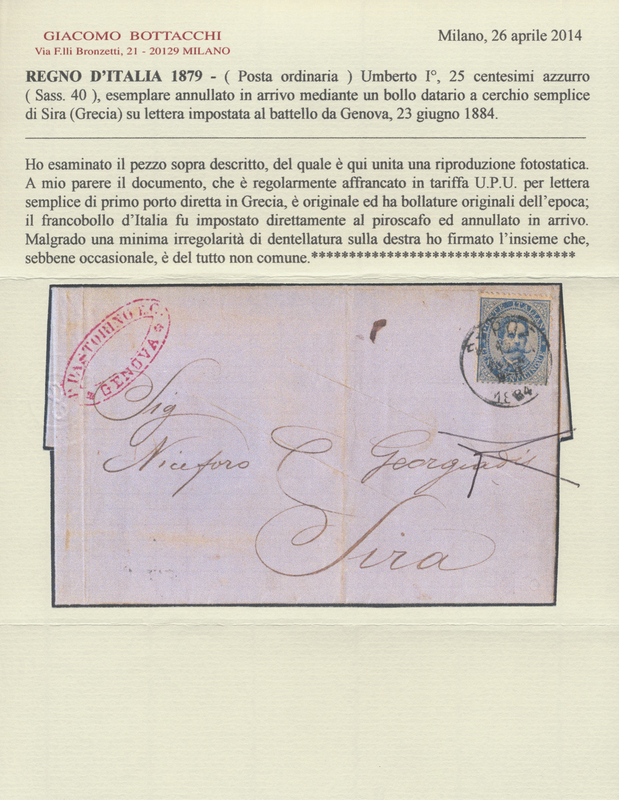 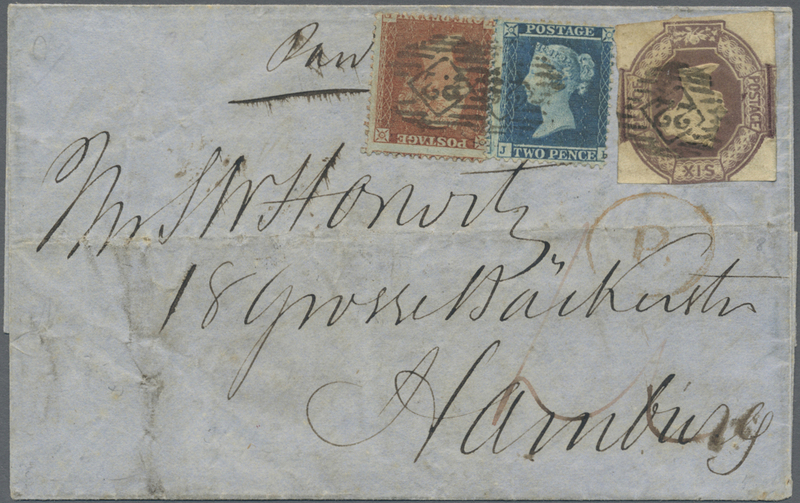 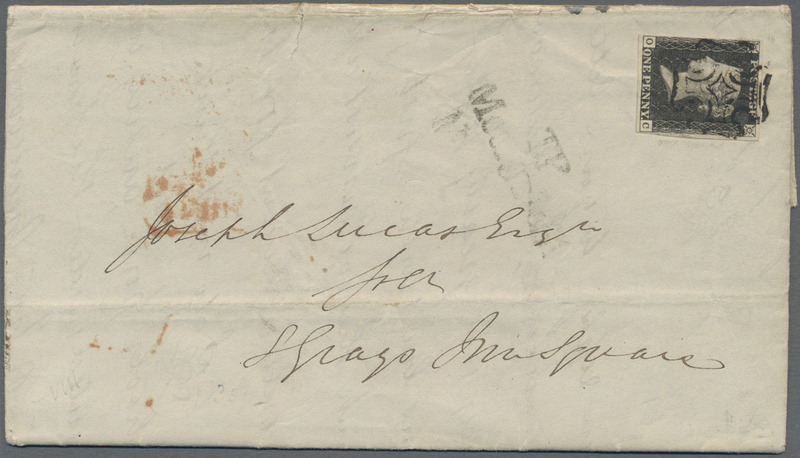 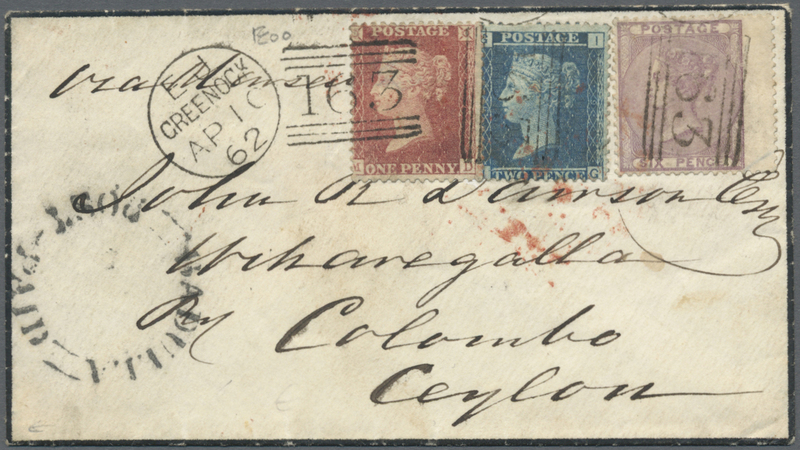 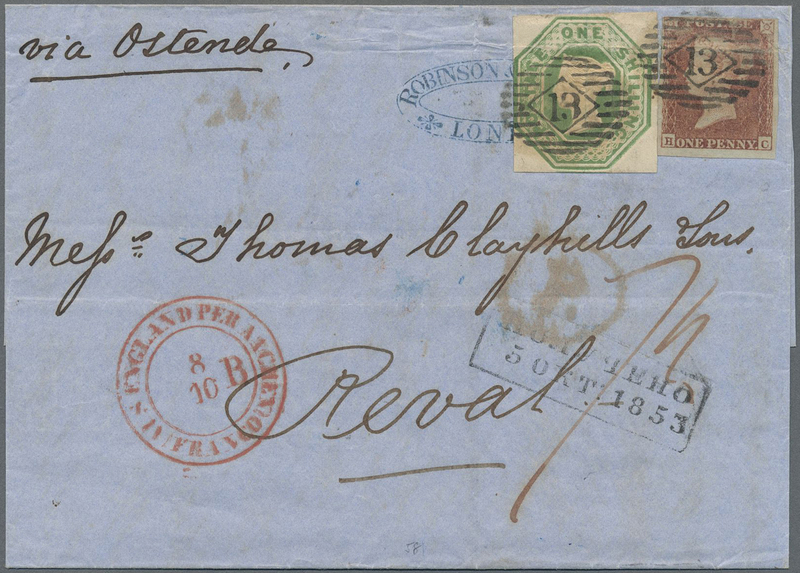 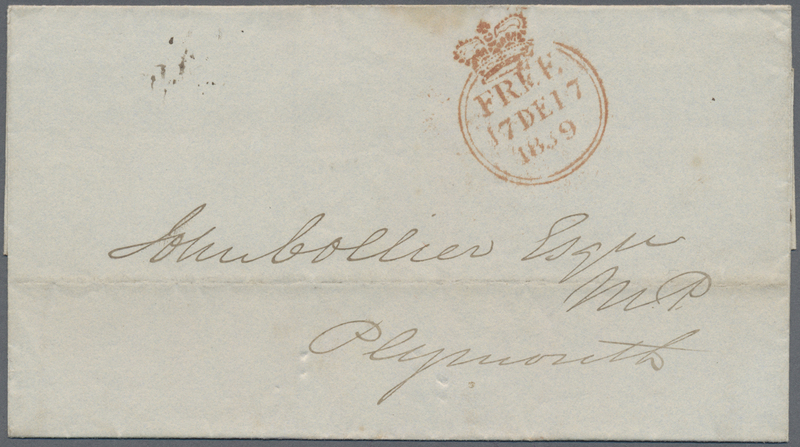 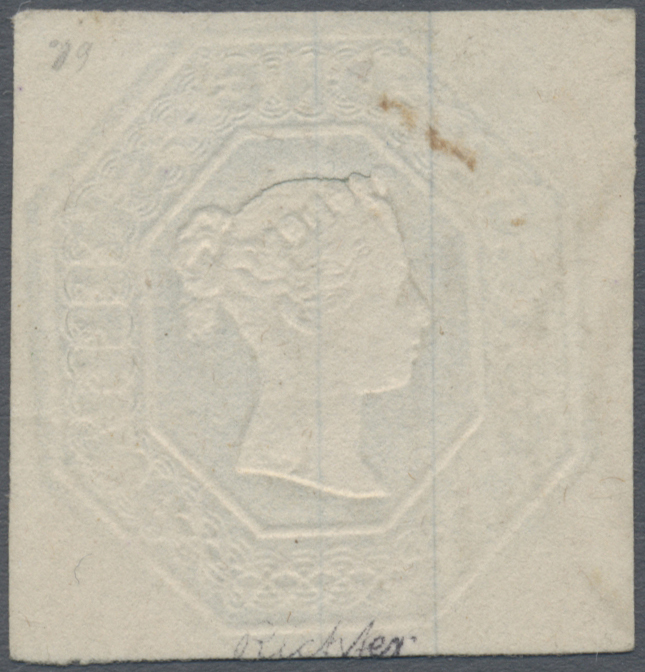 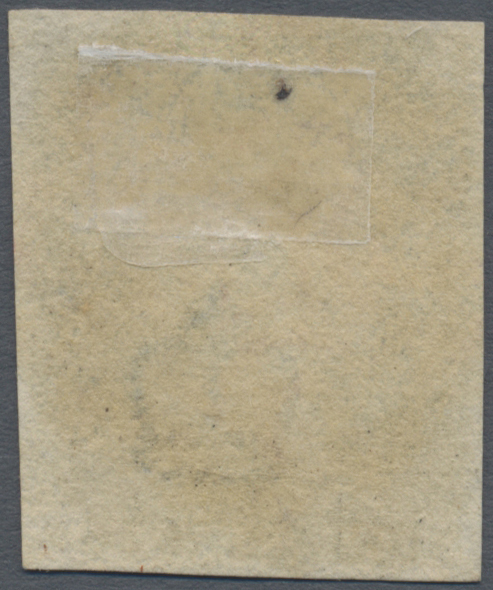 A SCARCE CRIMEAN WAR COVER.